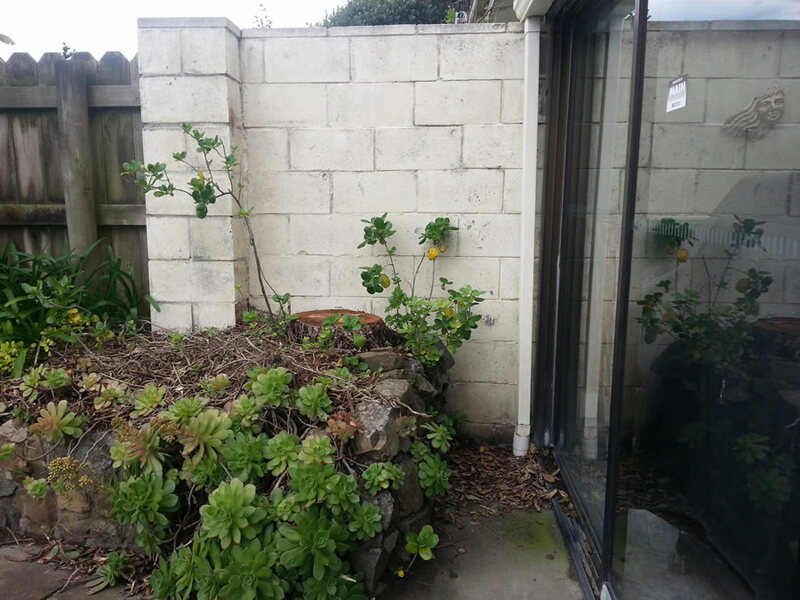 Below are before and after examples of our work. 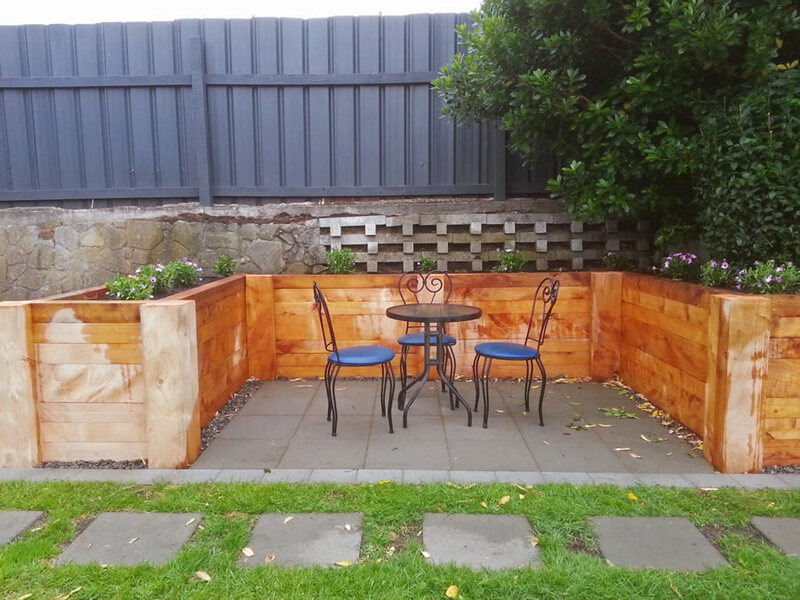 Updated outside sitting areas and back and side garden. 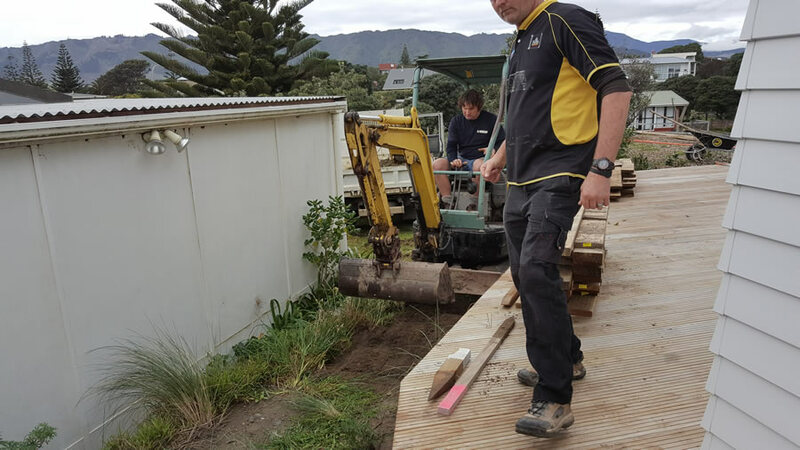 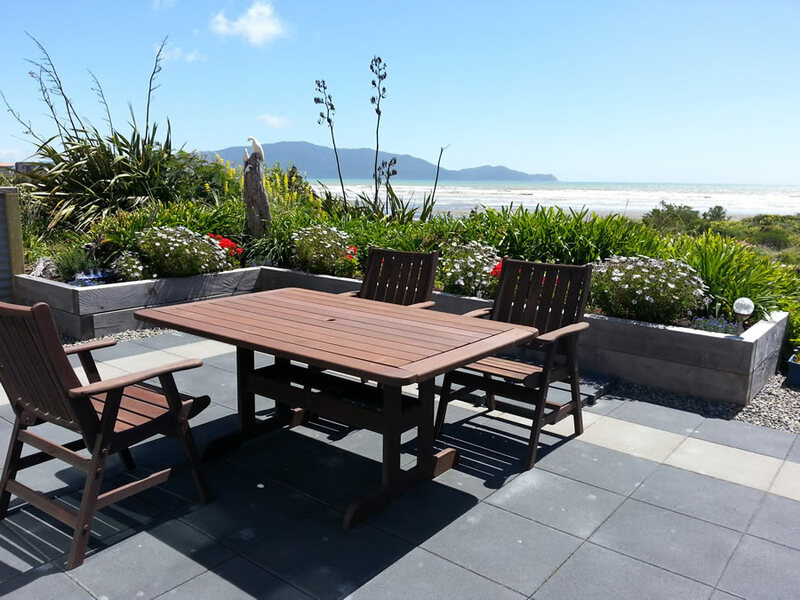 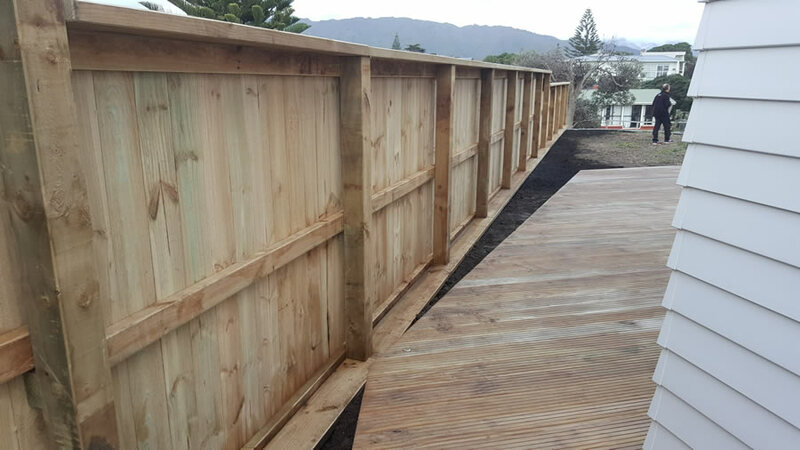 Timber deck replaced with long-life composite decking. 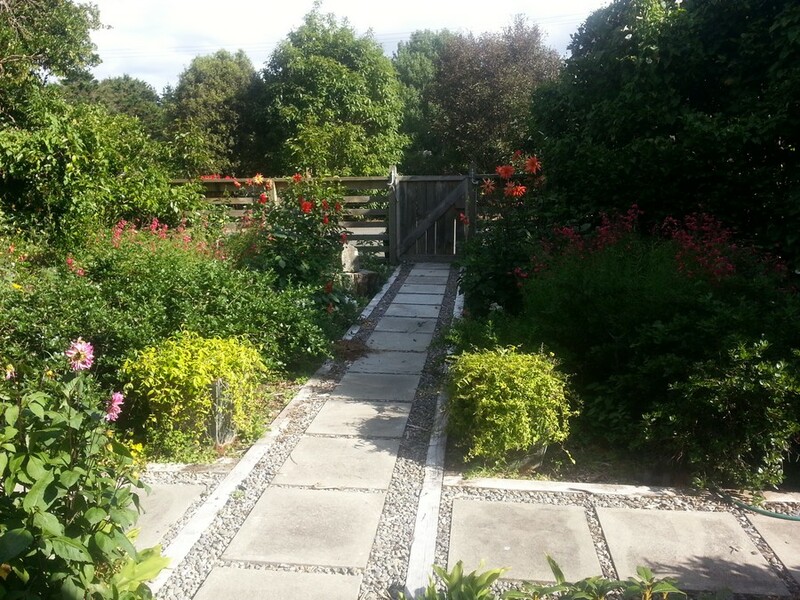 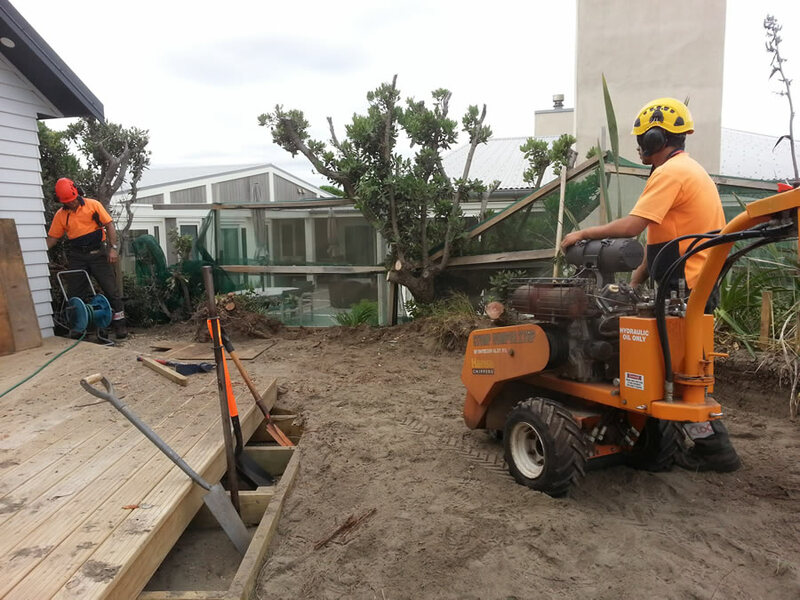 Boardwalk in same decking material providing path from living area to bedroom and spa. 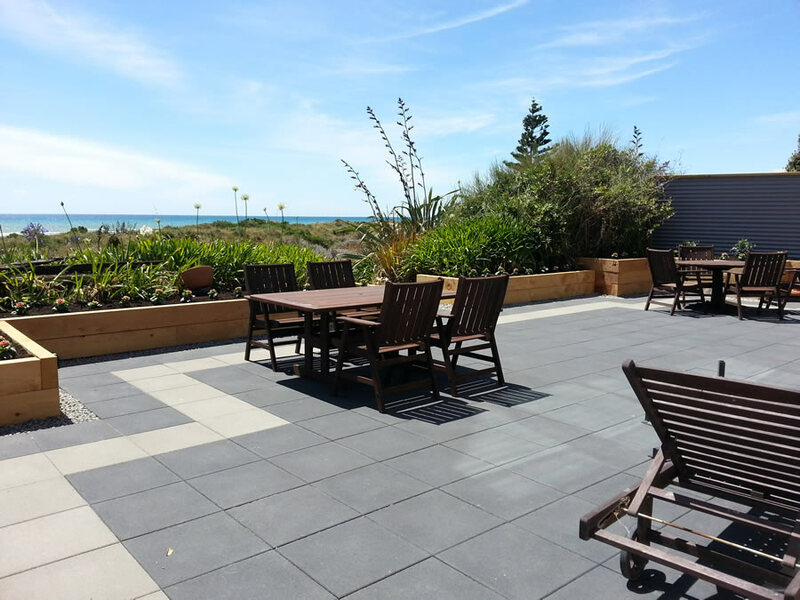 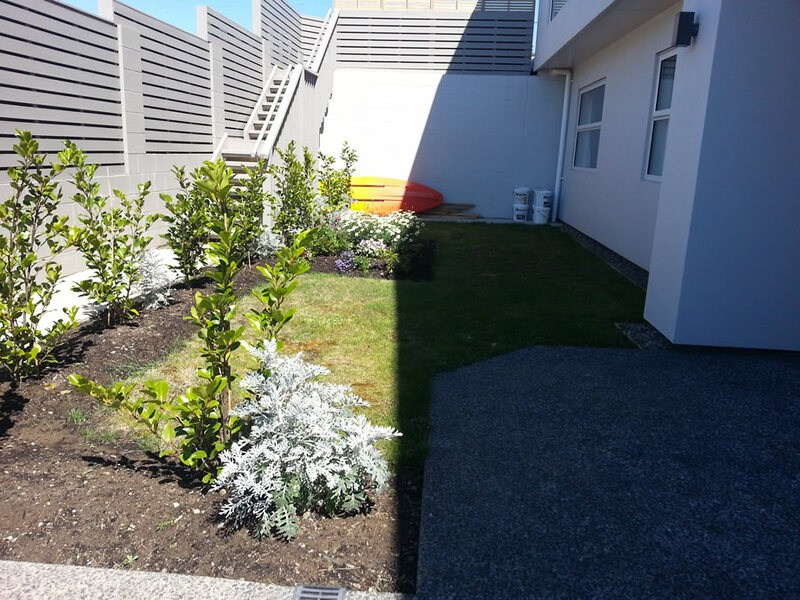 Original block-retained gardens replaced with treated Macrocarpa (which won’t rot) and grass replaced with beautiful Travertine Porcelain tiles. 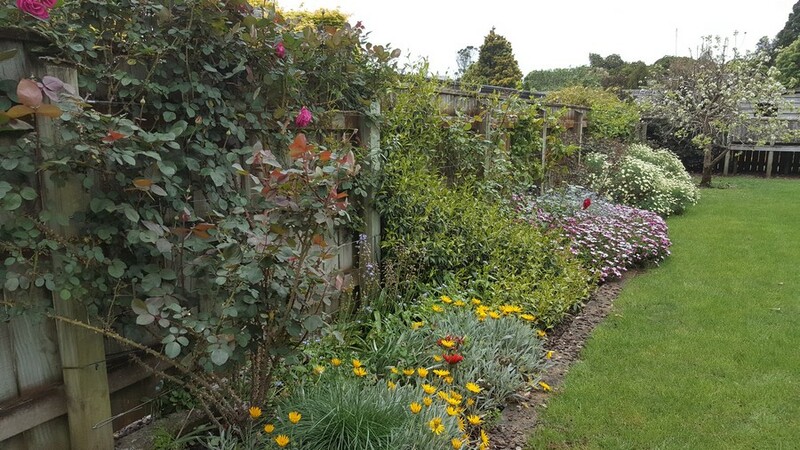 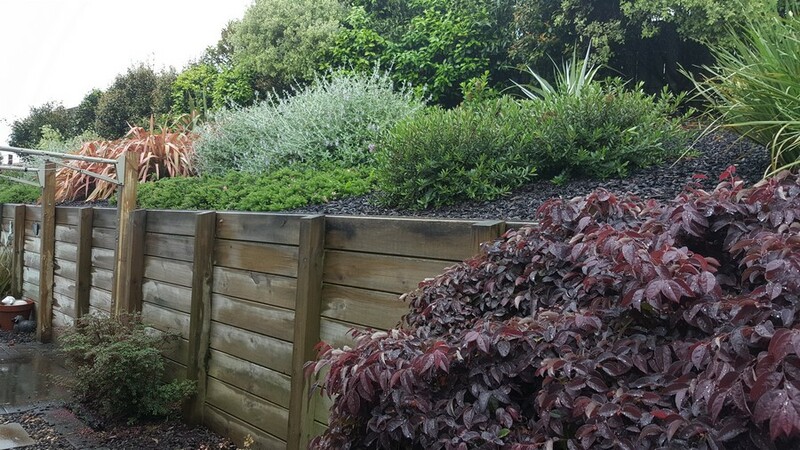 Garden borders have been formalized with the winter-flowering Camellia Early Pearly along the back and Pittosporum Golf Ball Silver in front. 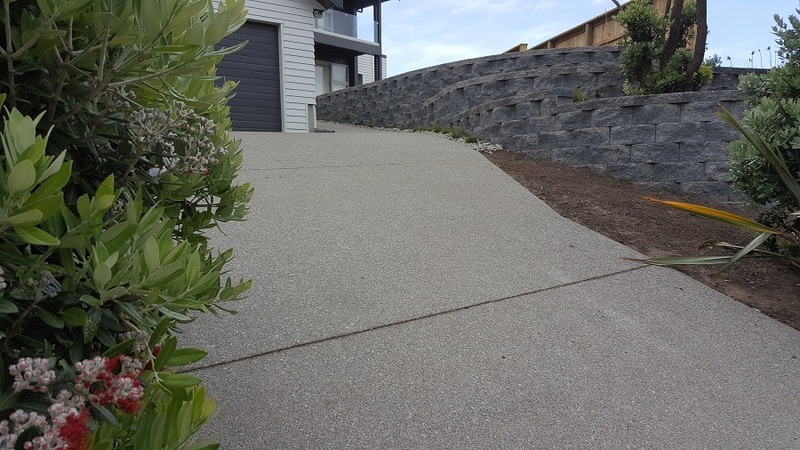 Alongside the boardwalk, Lomandra Lime Tuff provides a breezy bright green which retains it’s colour even as it matures. 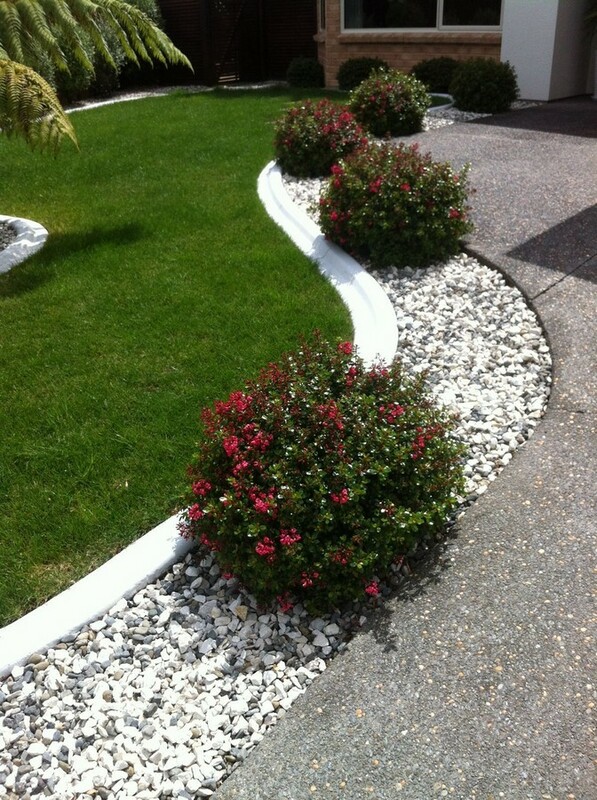 A mixed grade river pebble provides an interesting weed-resistant finish along the edge of the house. 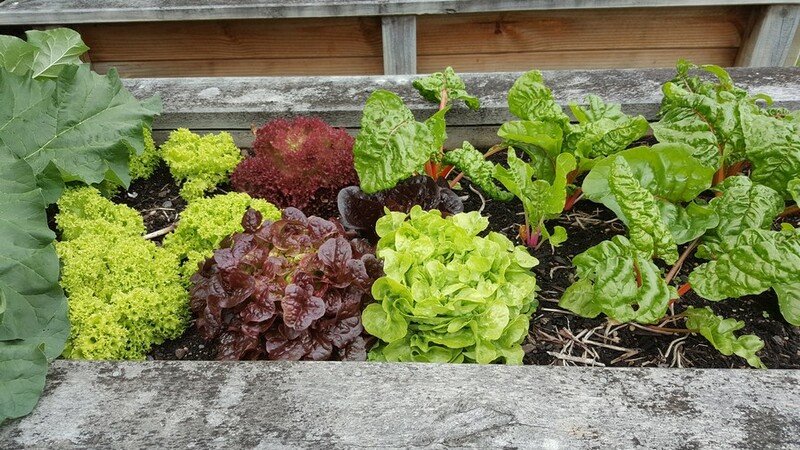 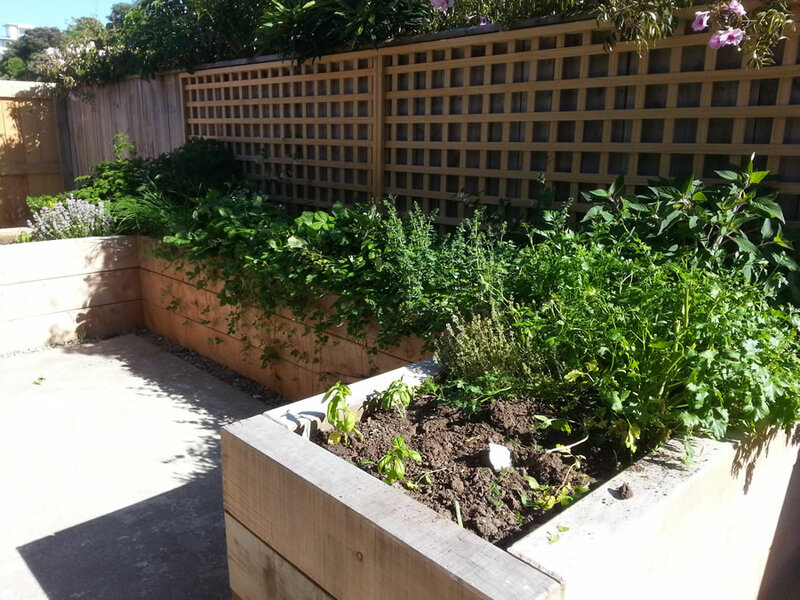 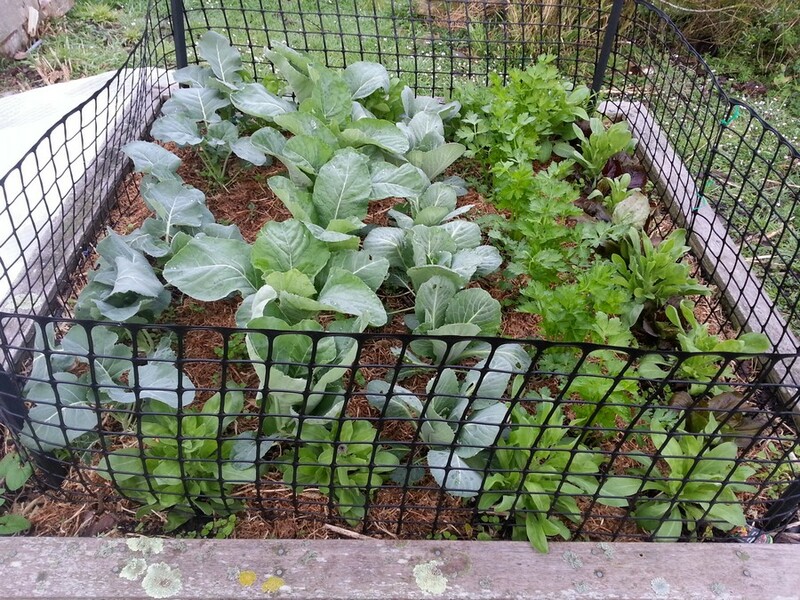 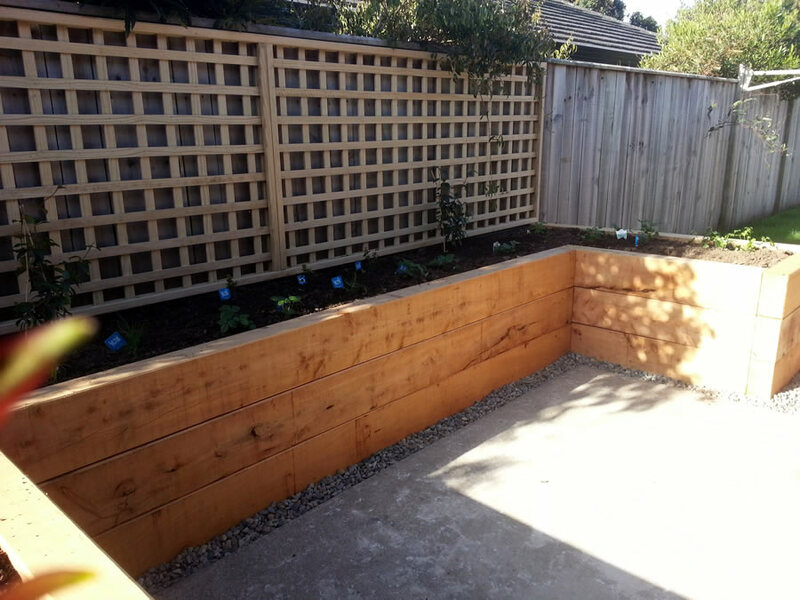 Around the back, retained boxes filled with rich garden mix at 600mm high provide an easy-on-the-back vegetable garden. 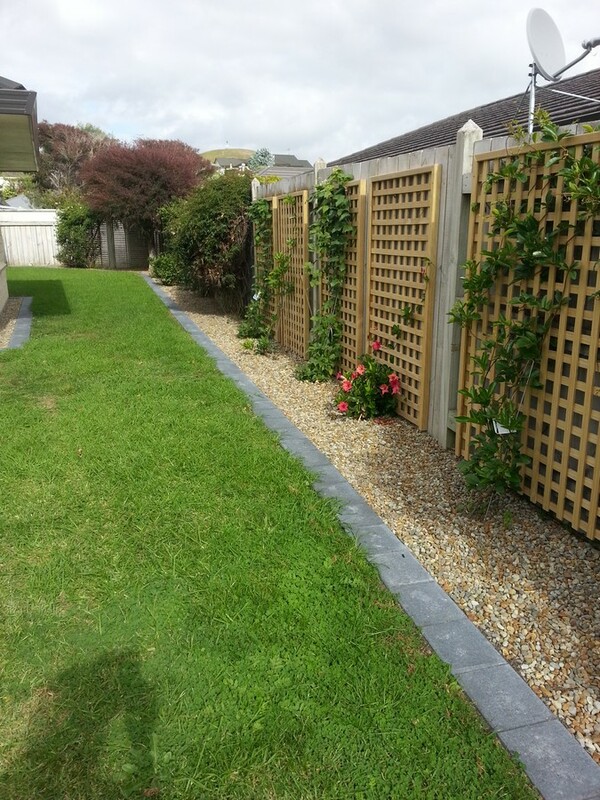 The trellis and side fence will soon be covered by Trachelospermum Star Jasmine giving off a beautiful, tropical fragrance in the summer warmth. 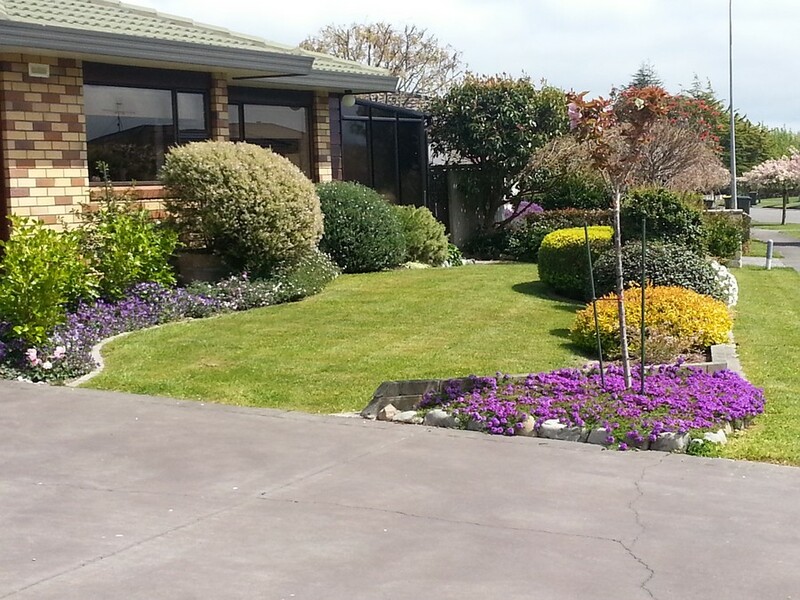 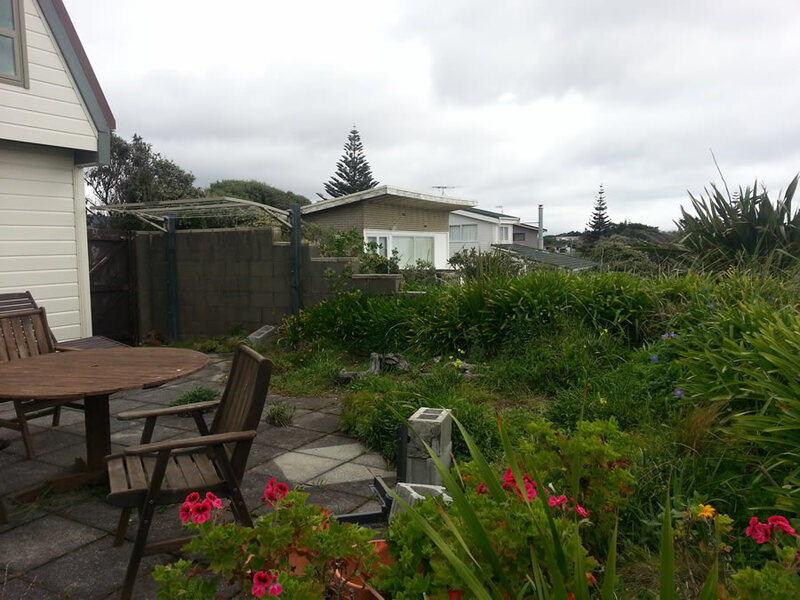 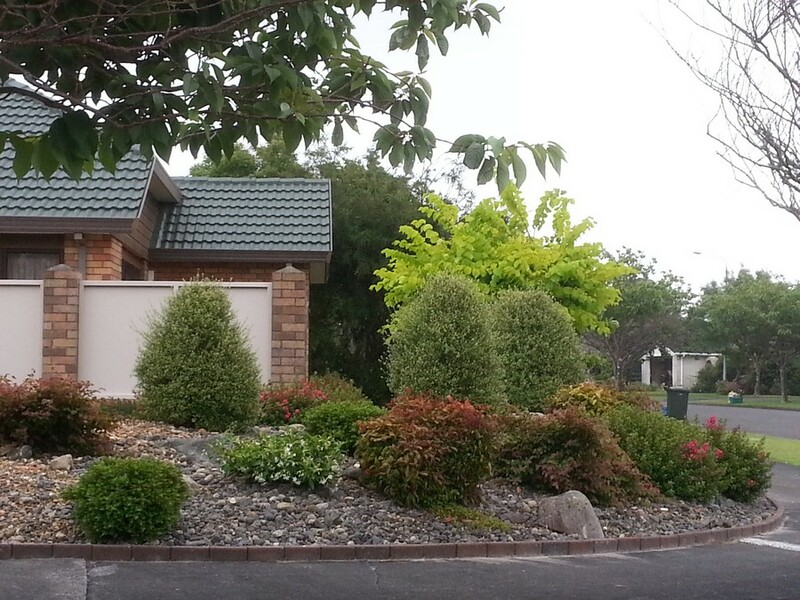 Older home, near beach required smart new front garden and improved access from road and driveway. 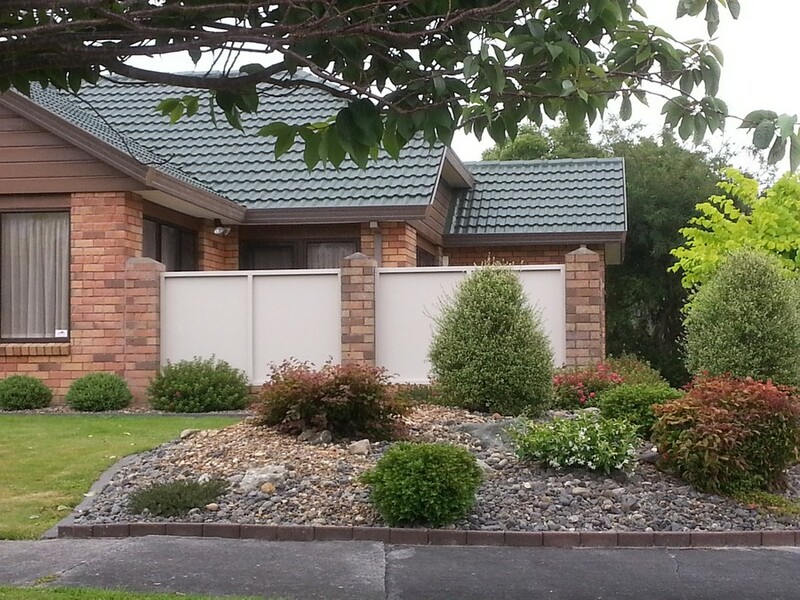 New, double storey garage provided backdrop to one side. 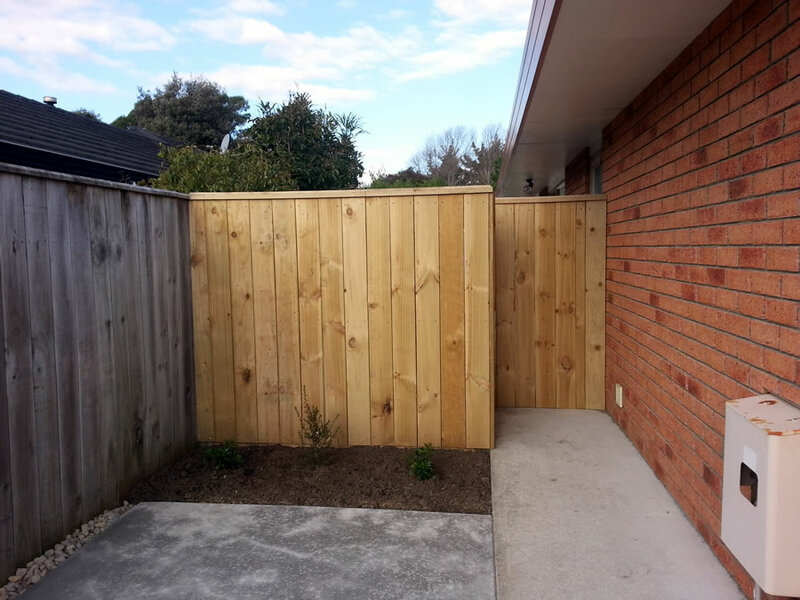 Front masonry wall tweaked with additional timber work and new gate by owner (builder). 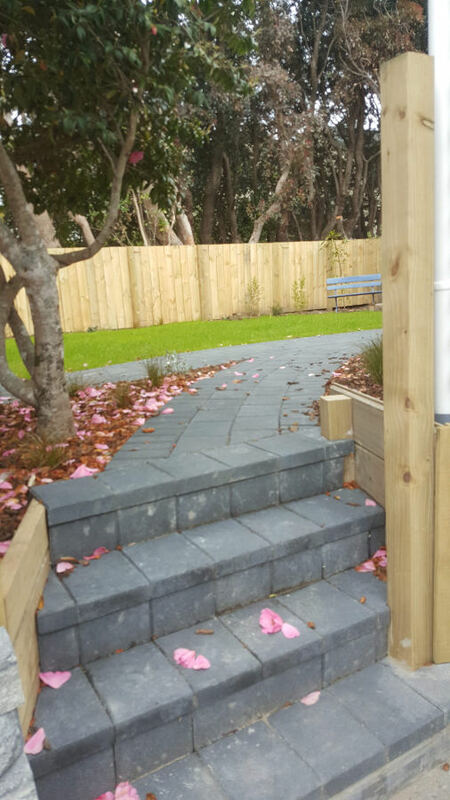 New path from road and driveway created with firth pavers and blocks and extended to cover existing porch and create new steps. 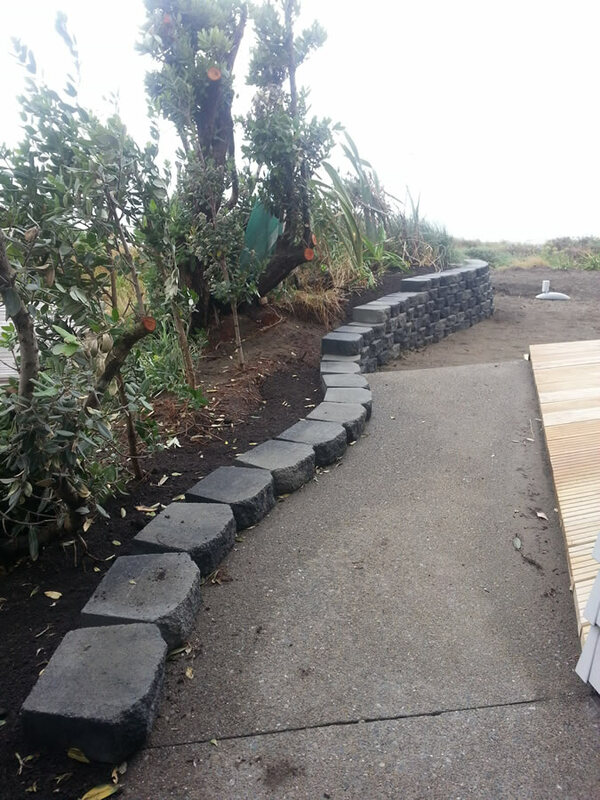 Holland pavers (Black Sands) provide a mowing strip between grass and garden borders. 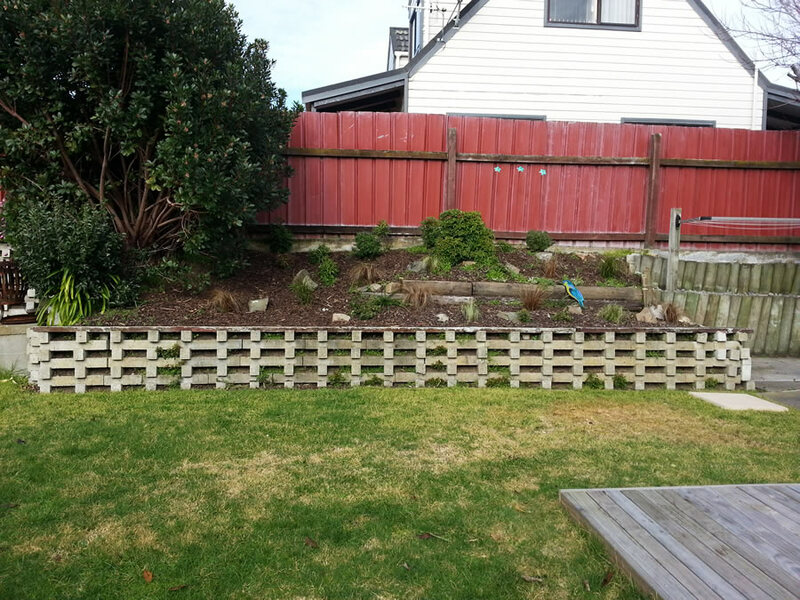 Perimeter garden borders planted with a beach theme. 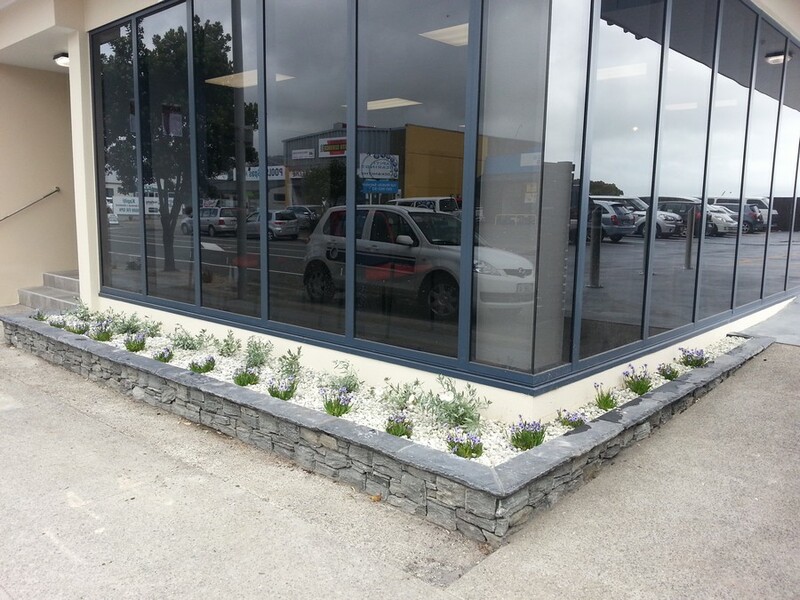 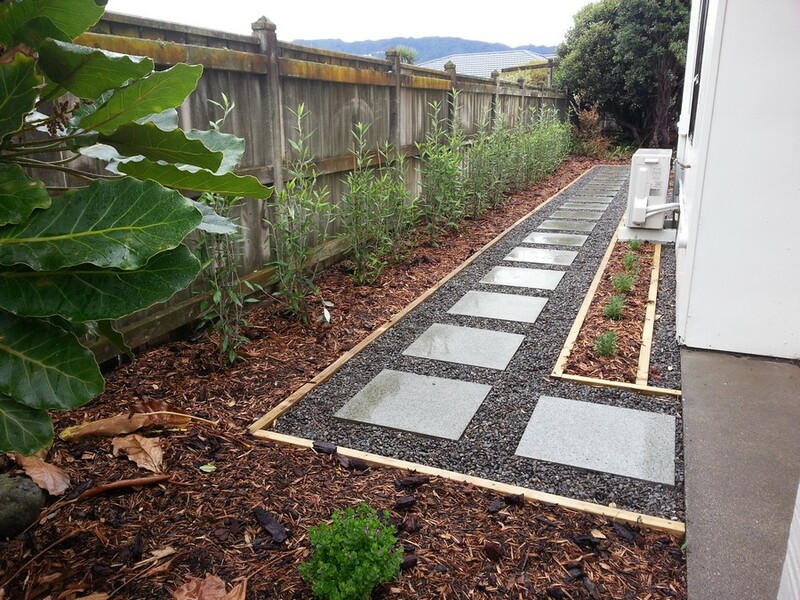 Plants included, Corokia Geenty’s Green, Convolvulus cneorum, Osteospermum, Hebe, Carex testacea, Arctotis, and Miniature Toe Toe. 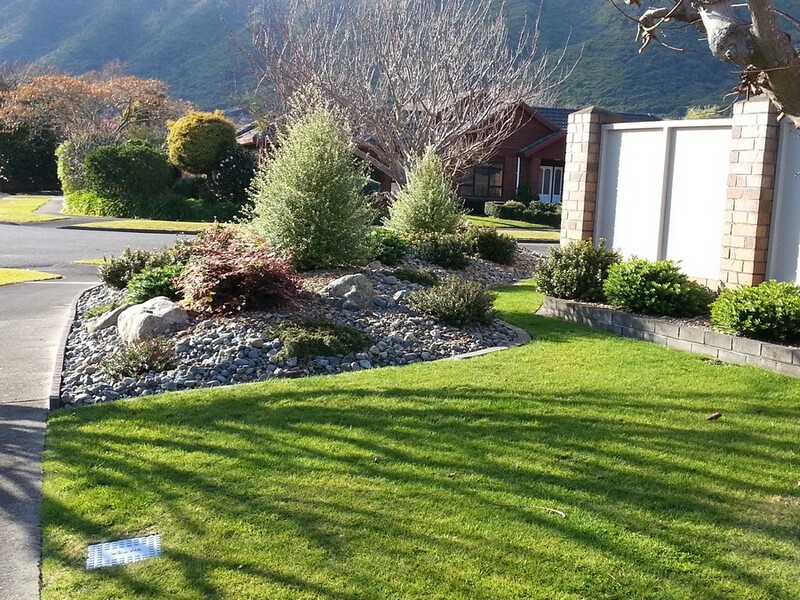 Sprayed grass to finish gives a quick result. 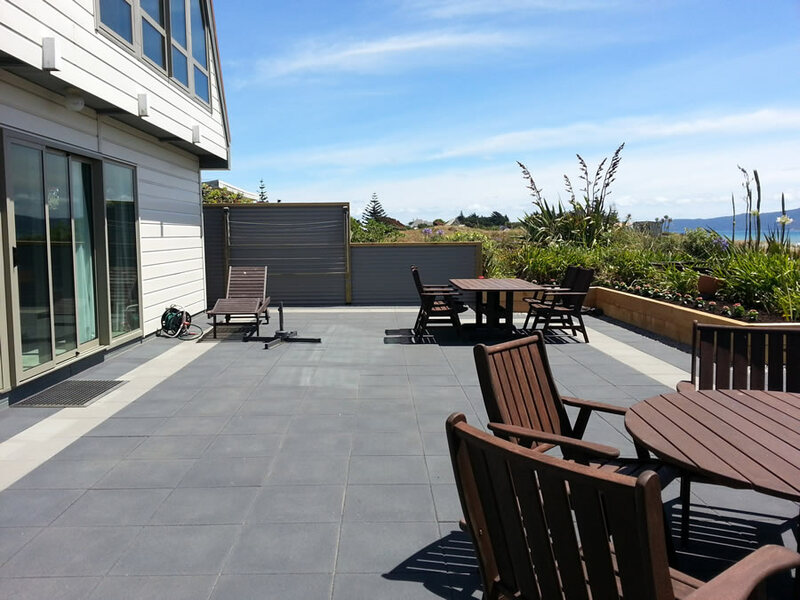 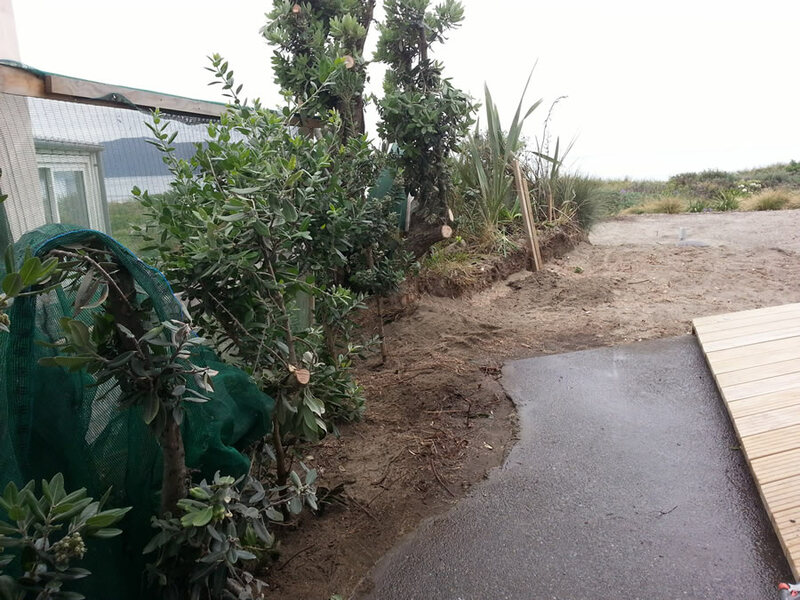 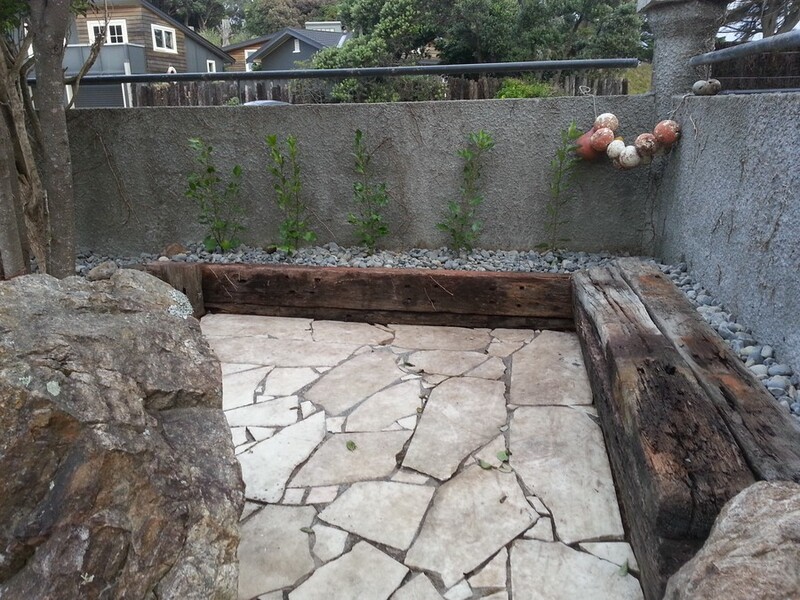 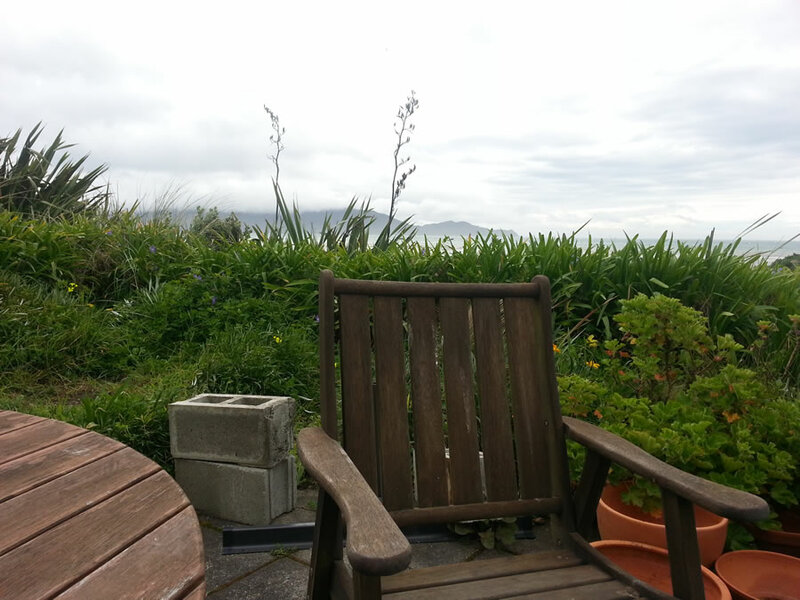 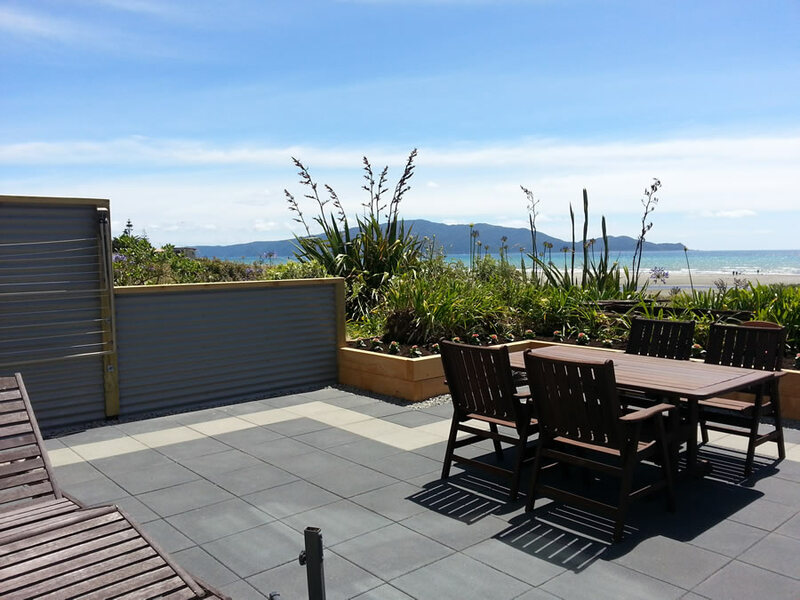 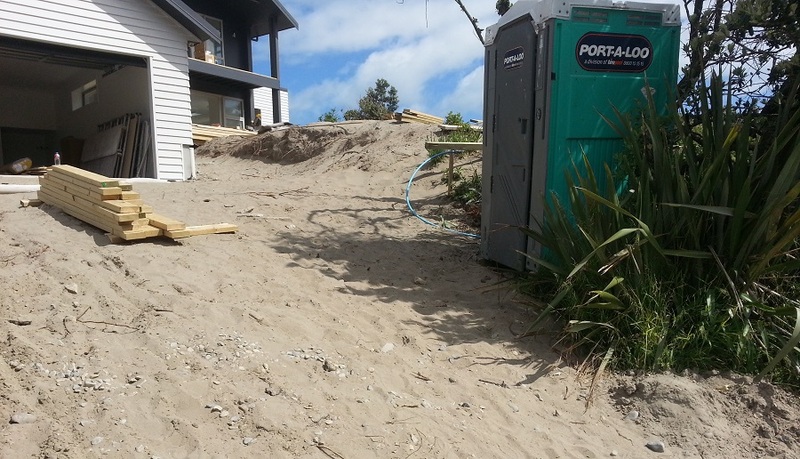 Update of beach house patio, seaward side of property. 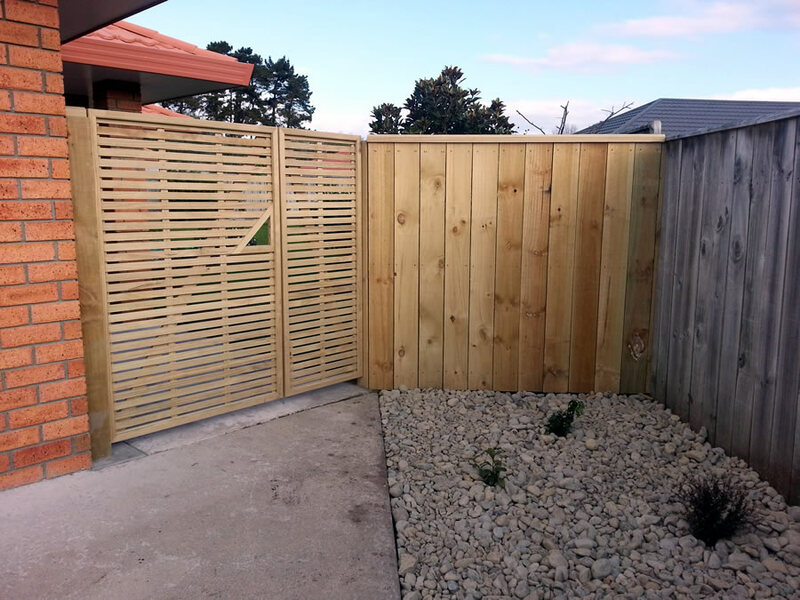 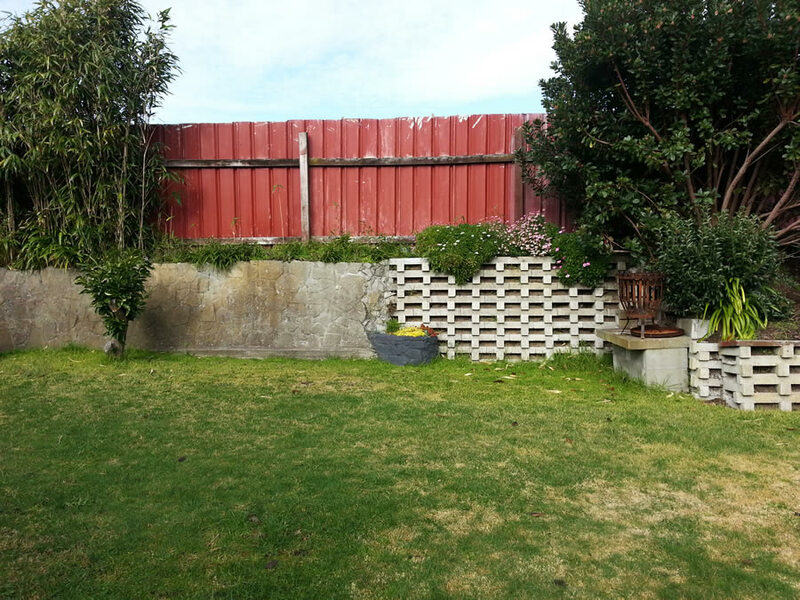 New paving; macrocarpa retained gardens; corrugated iron fence façade to screen existing block walls; custom gate blending corrugated iron with timber. 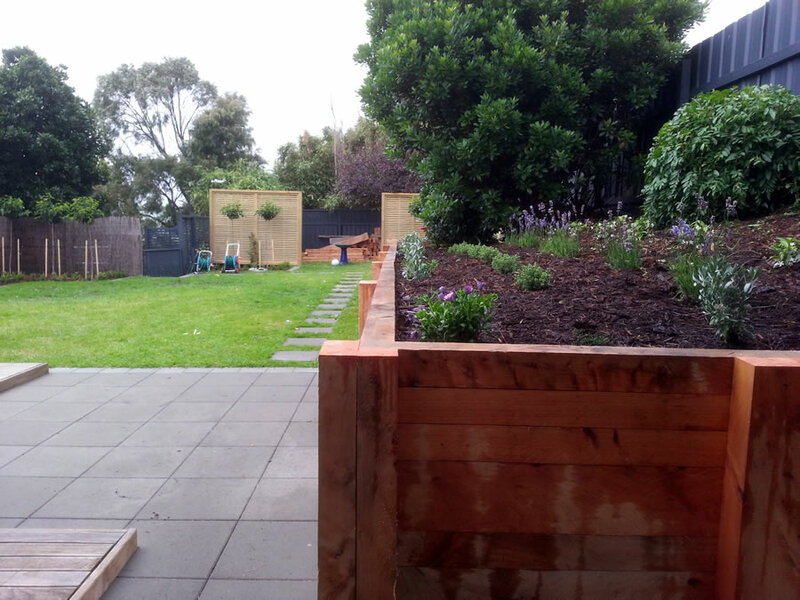 New home on rise necessitated Firth block wall construction to create tiered gardens and level lawn area outside the home. 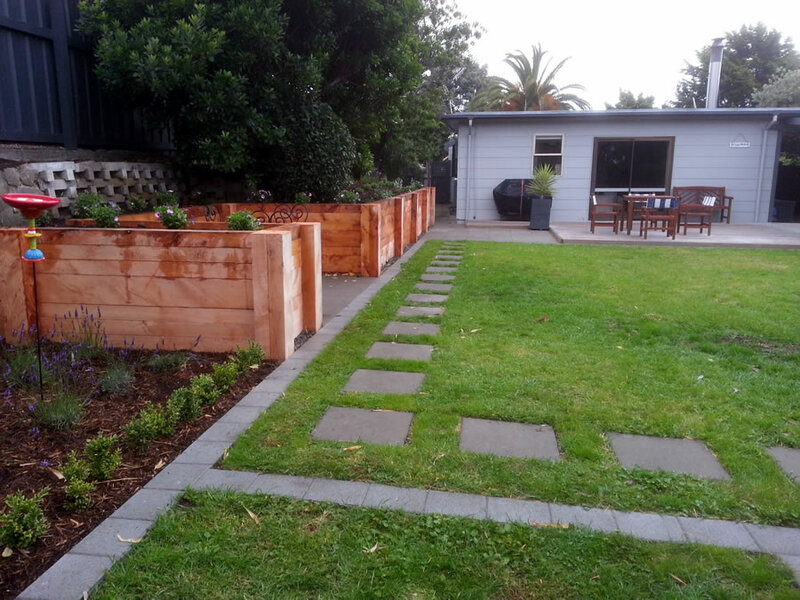 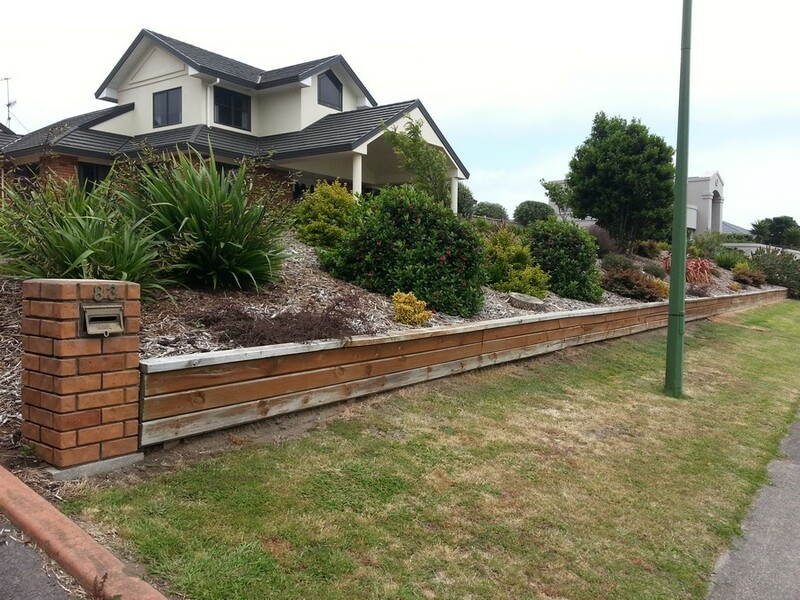 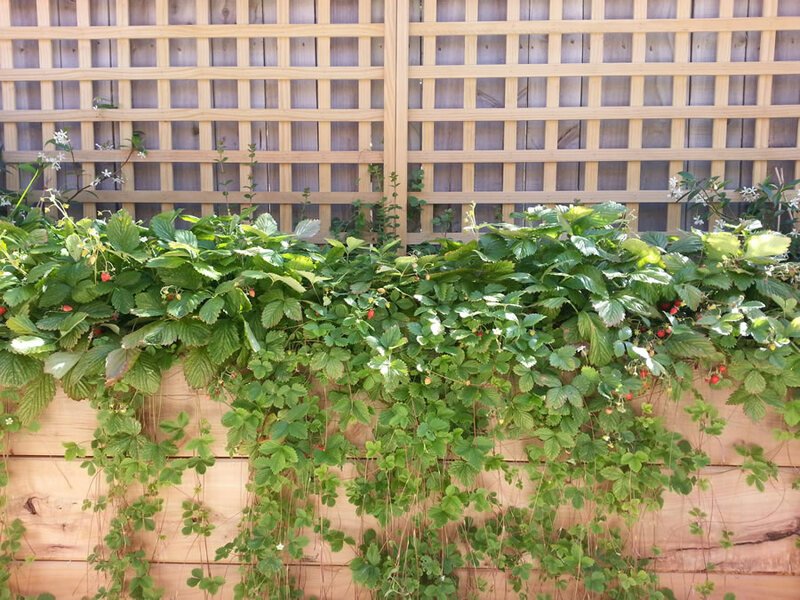 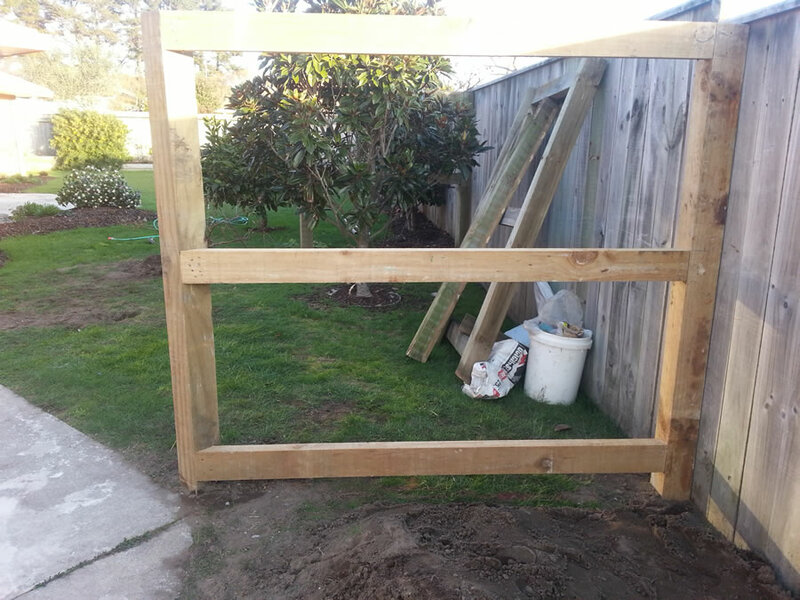 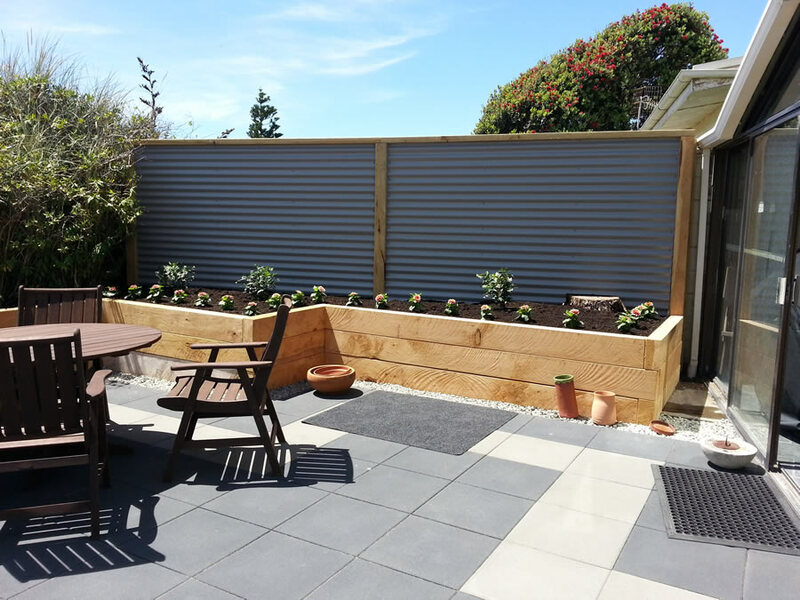 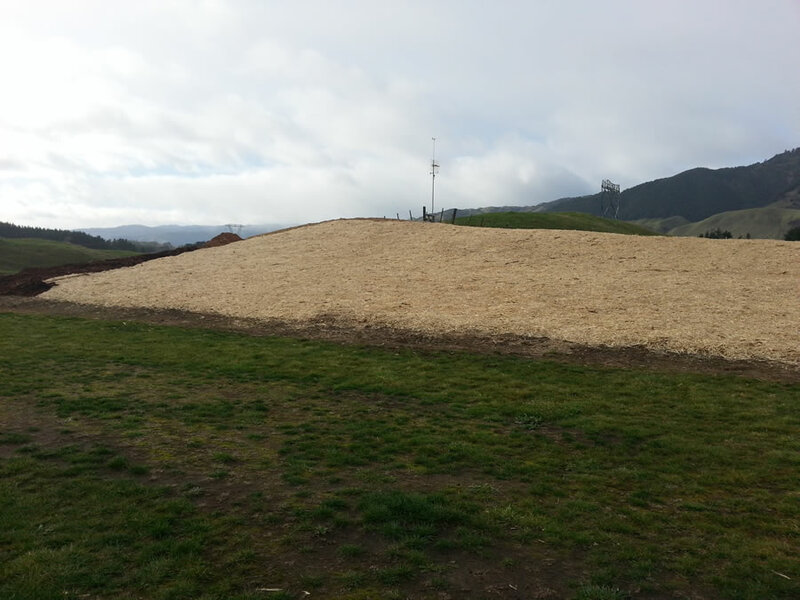 Fence atop a timber retaining wall provides privacy between properties and level ground for maximum use. 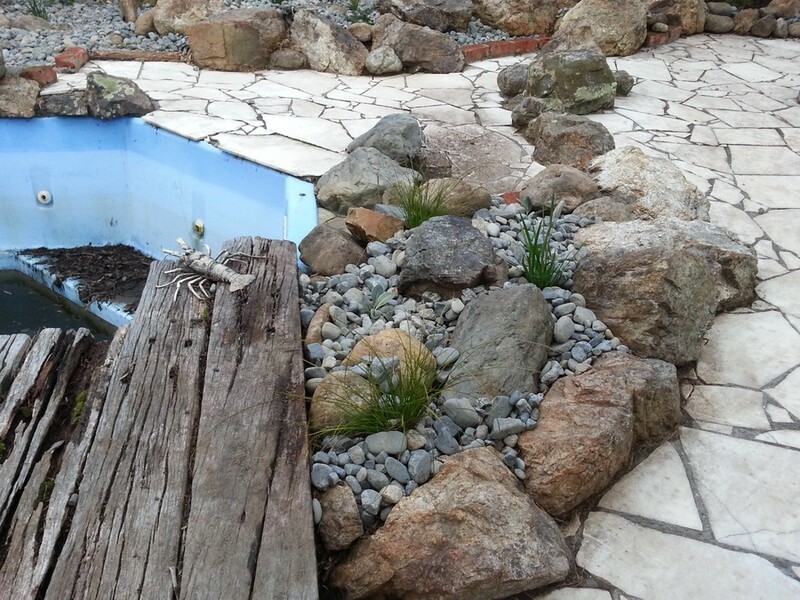 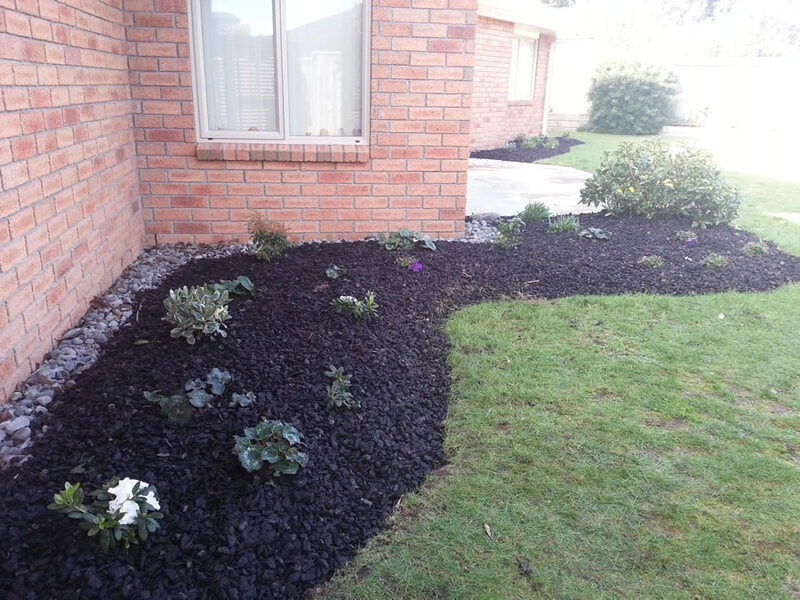 40/60 riverstone pebble mulch used over some gardens; natural bark over others. 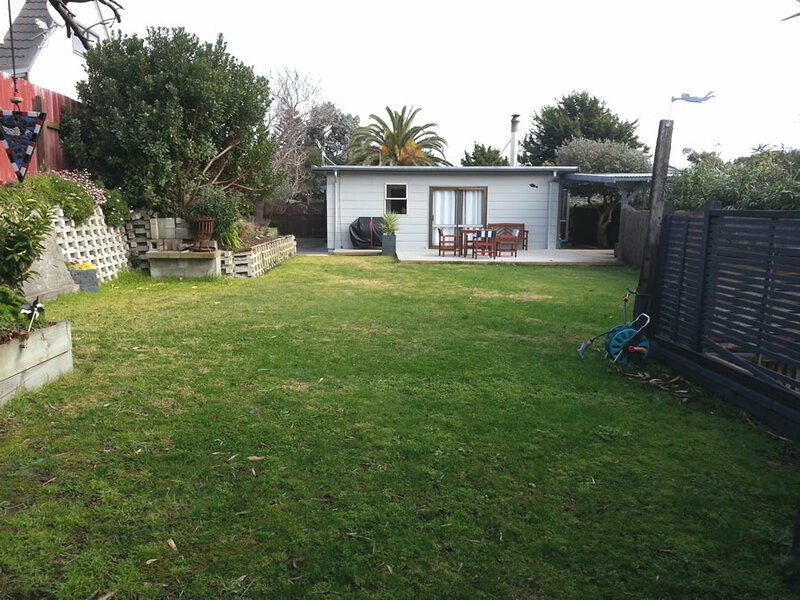 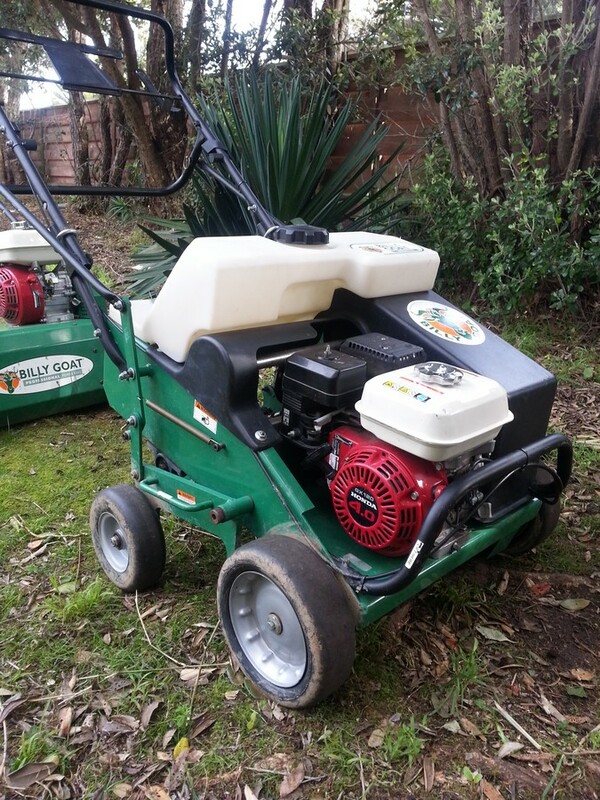 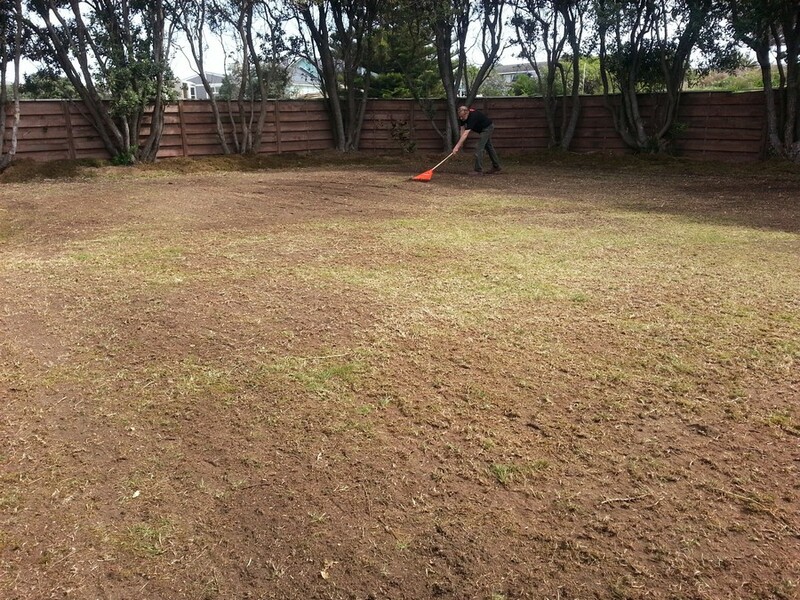 Lawns to be established. 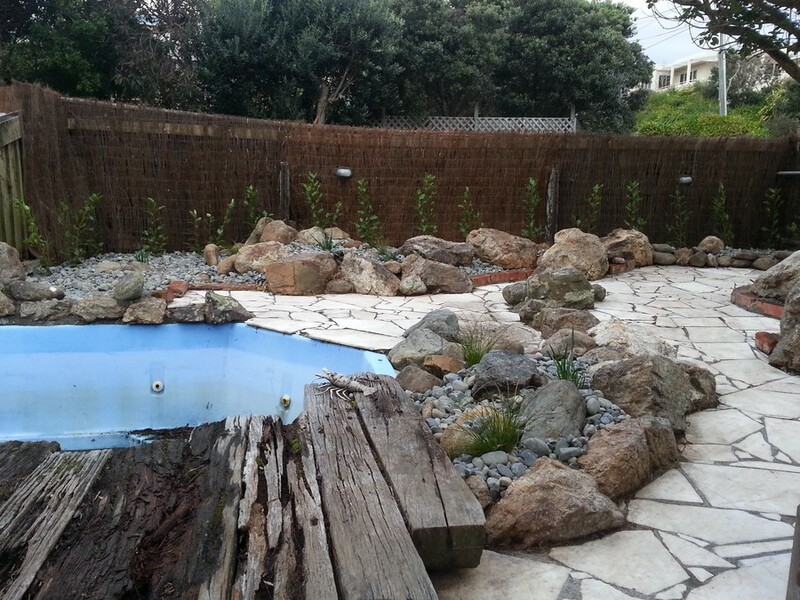 Modernization of the garden with Mediterranean feel. 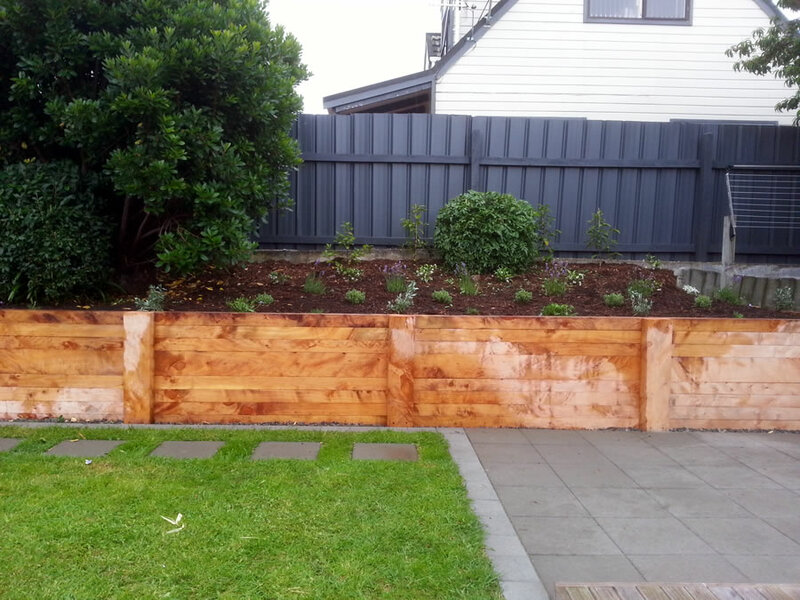 Screen and blend in with existing materials. 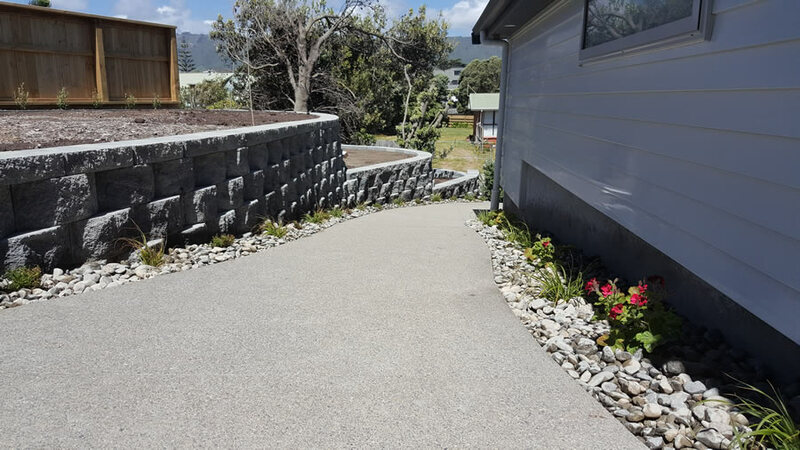 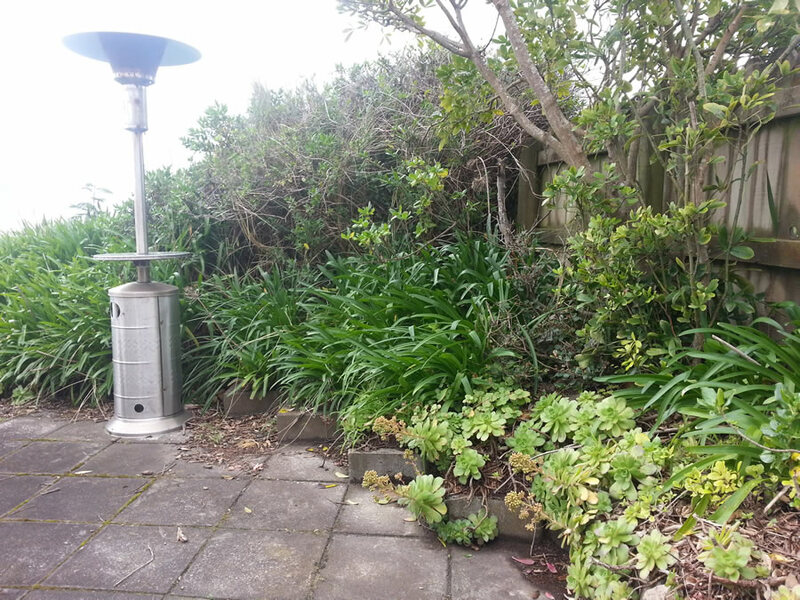 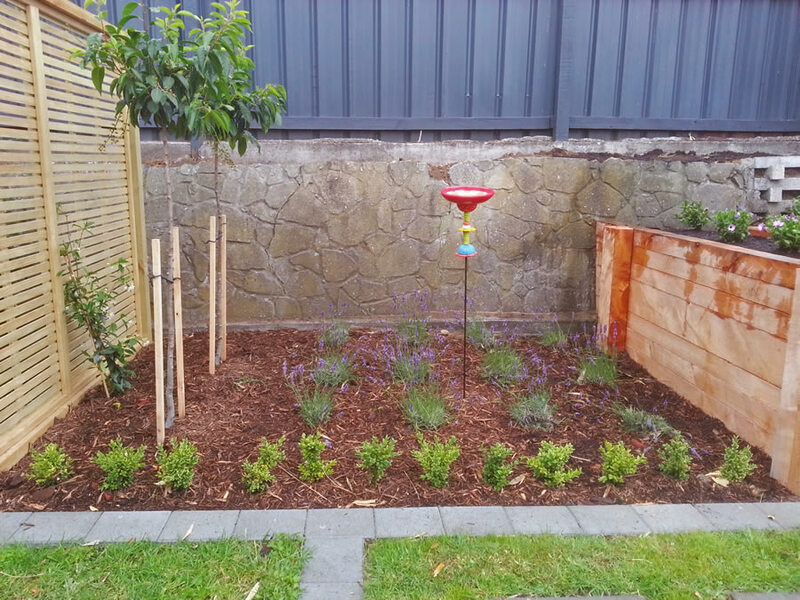 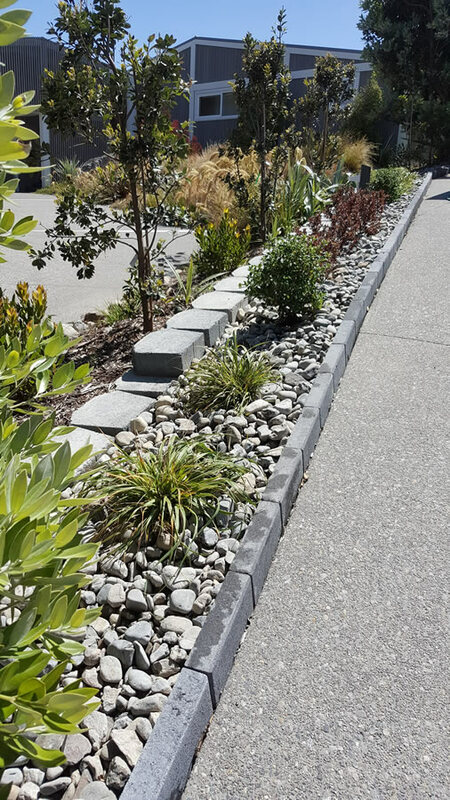 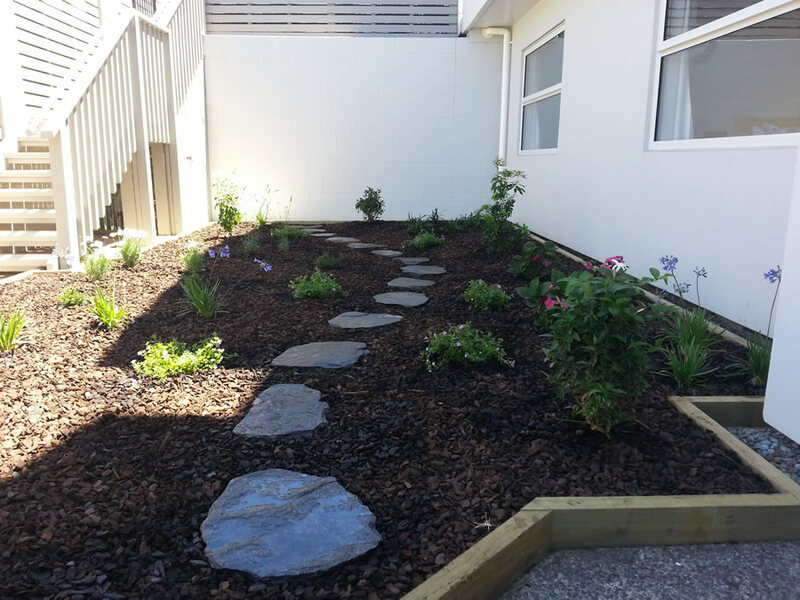 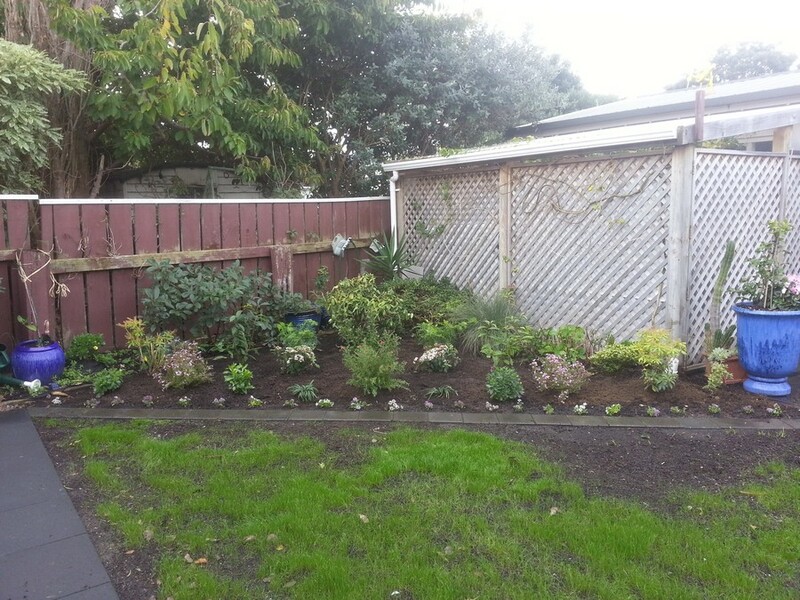 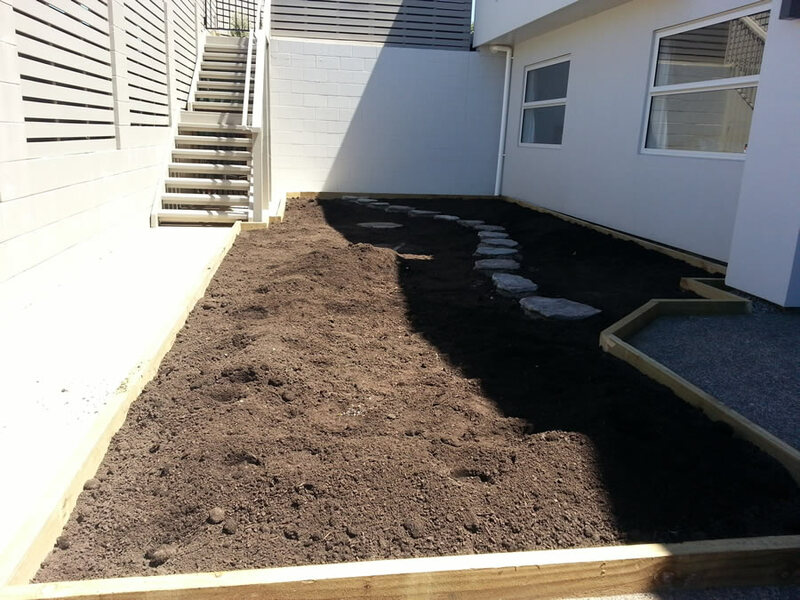 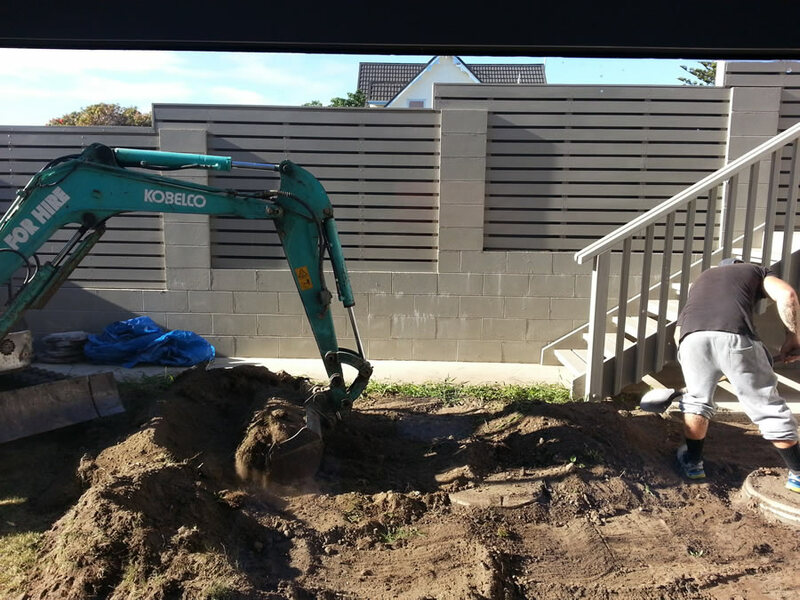 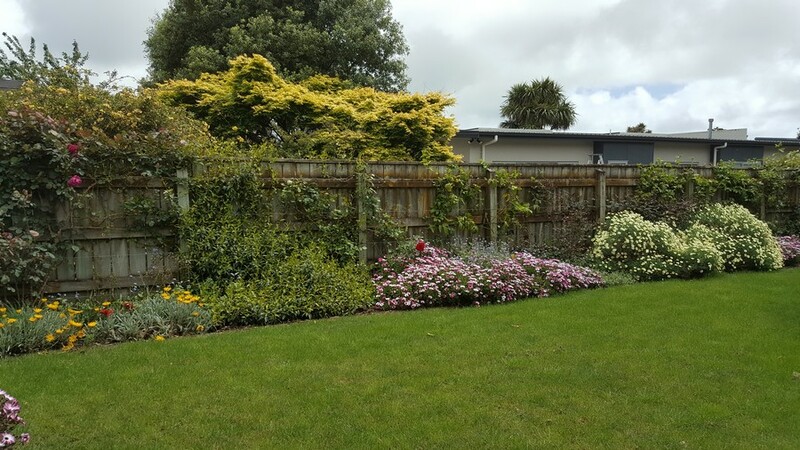 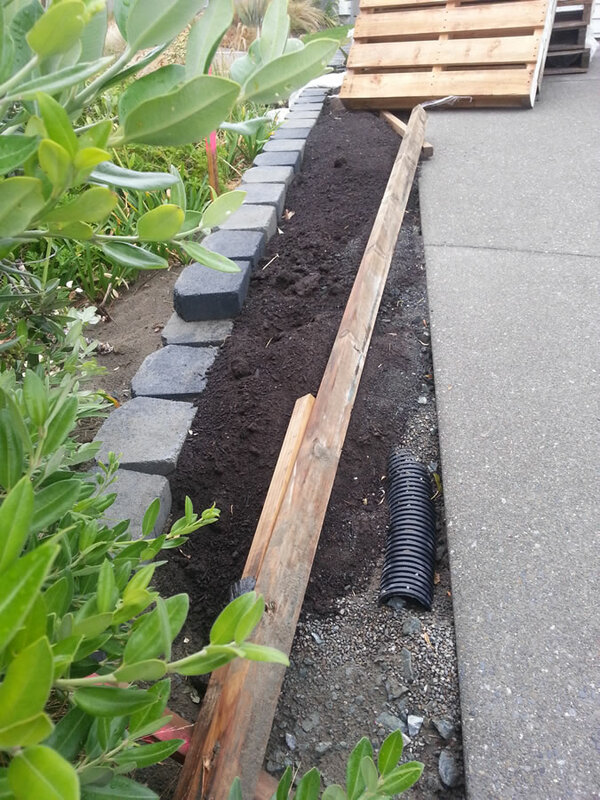 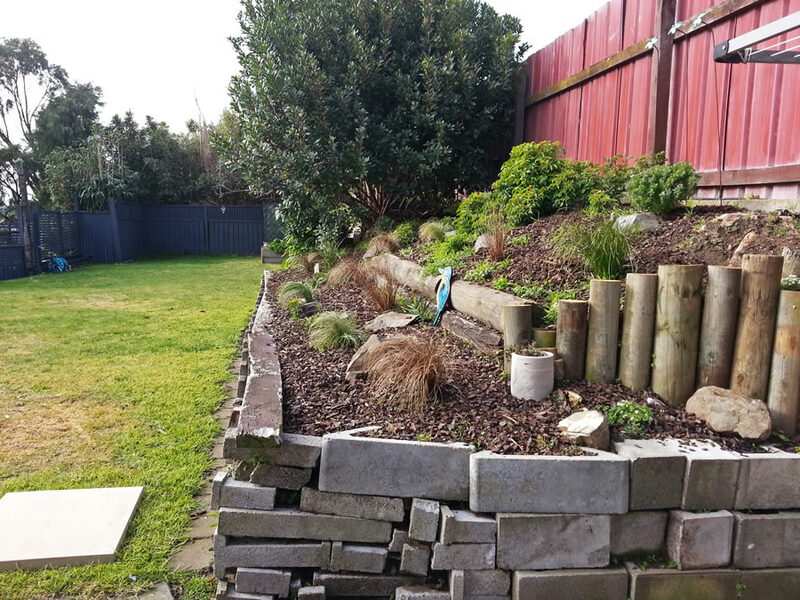 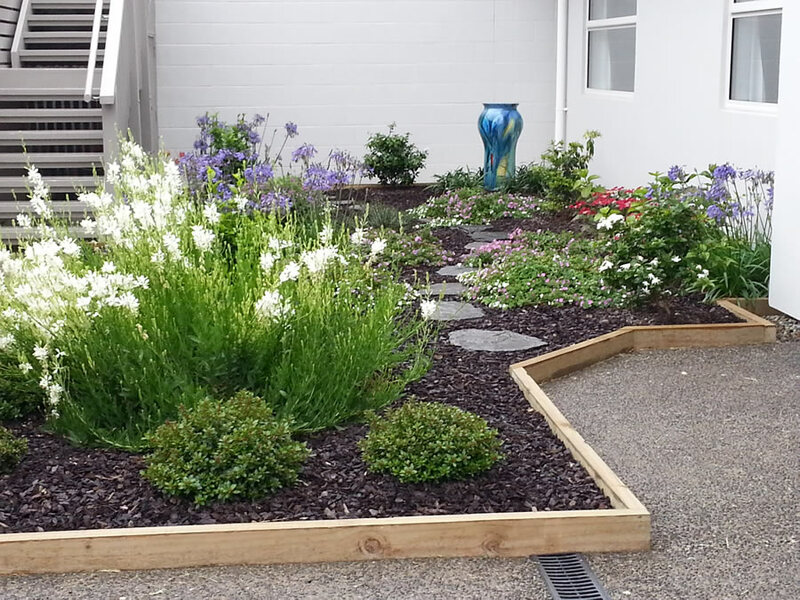 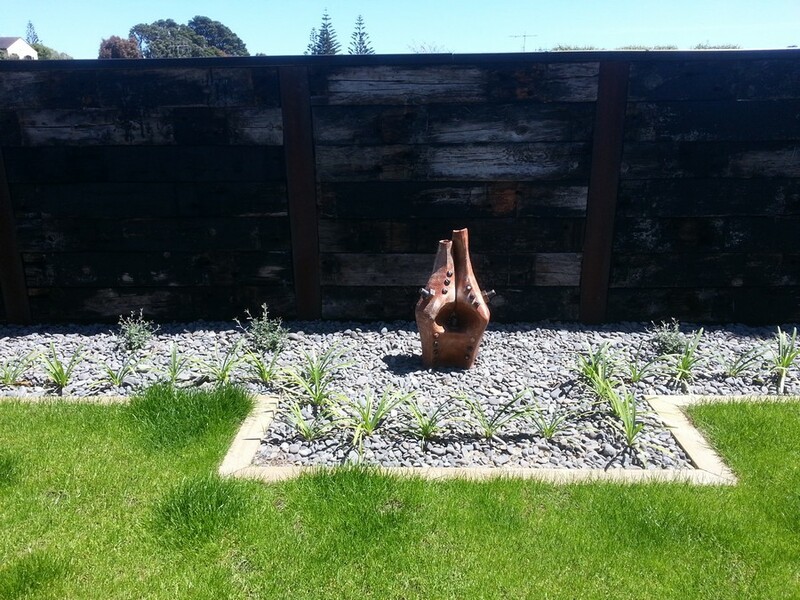 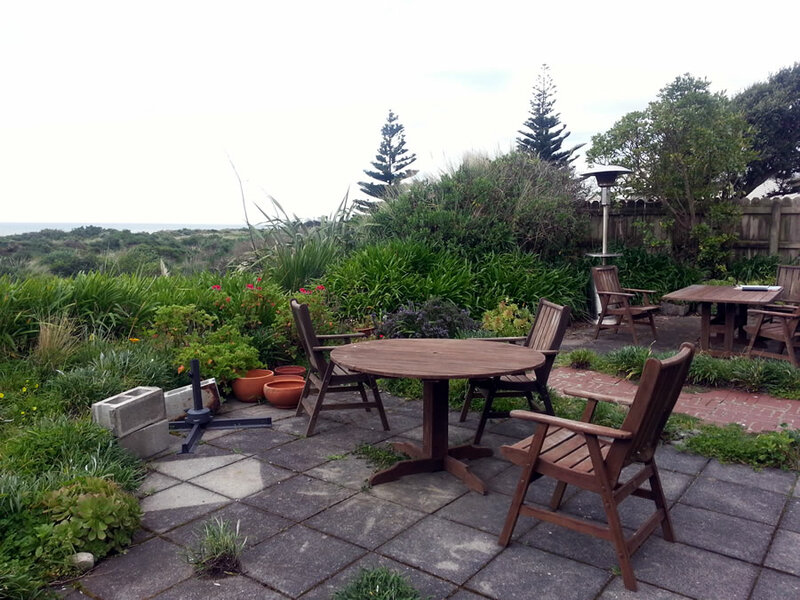 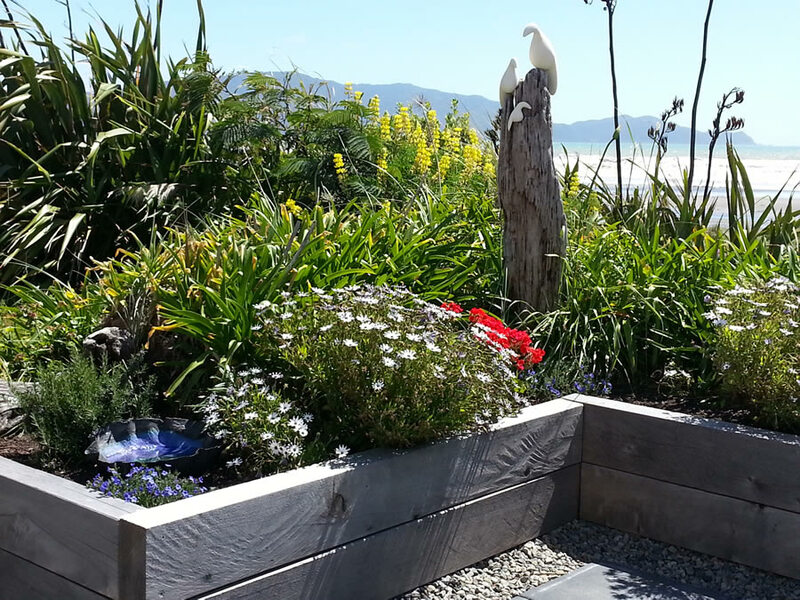 Replace broken retaining wall with fine cut macrocarpa sleepers; paved sitting area; paver stepping stone path; planted gardens. 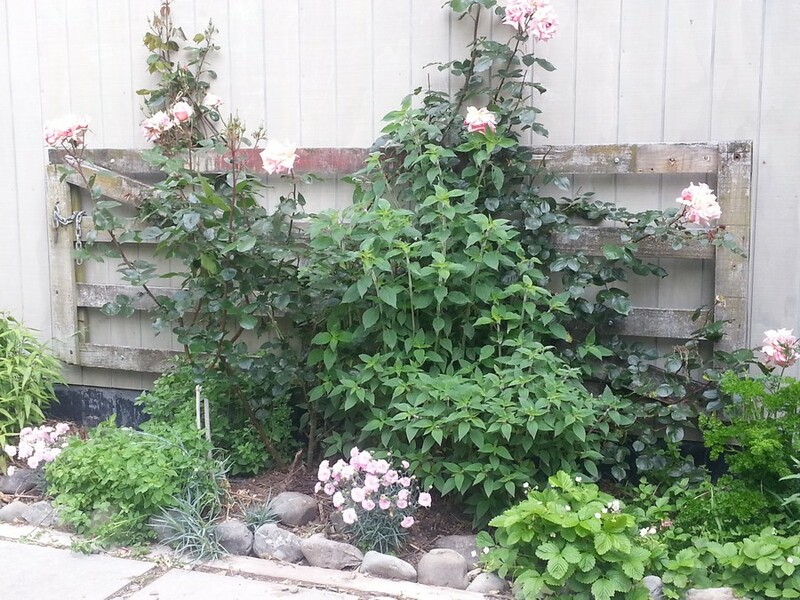 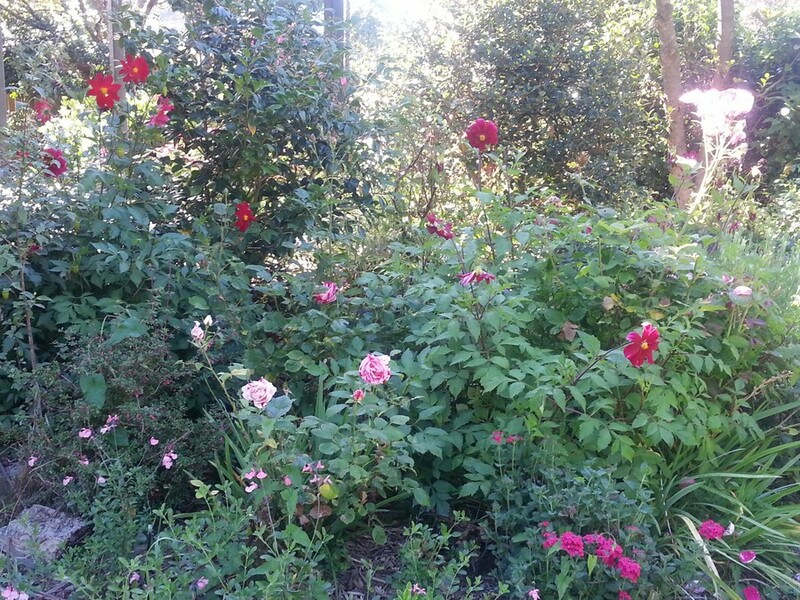 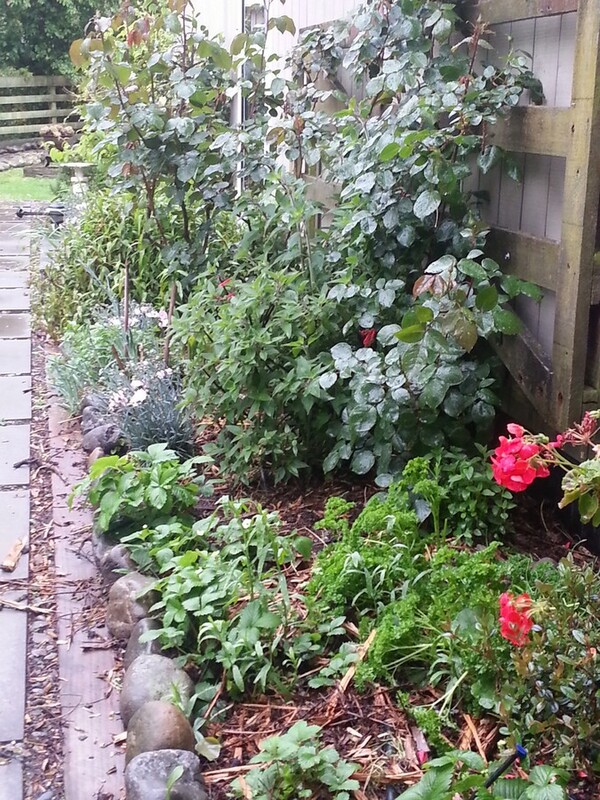 Re-vitalization of a suburban garden. 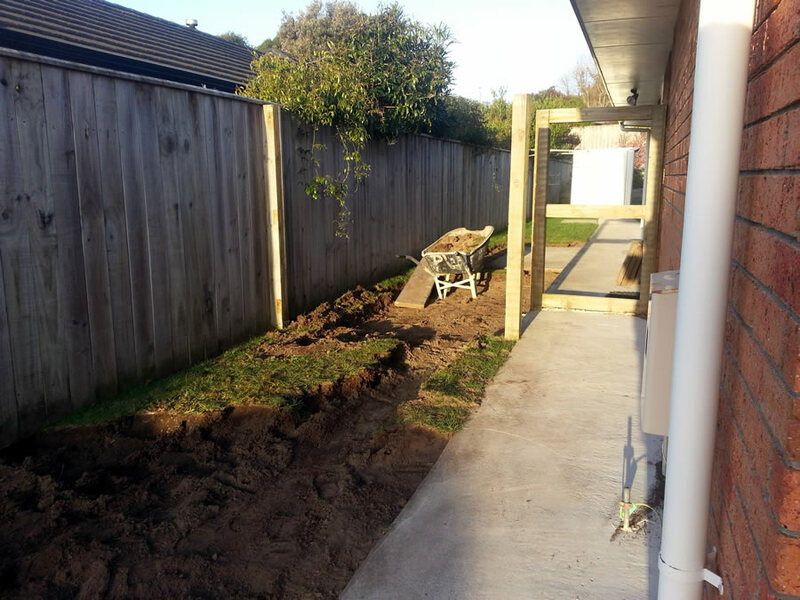 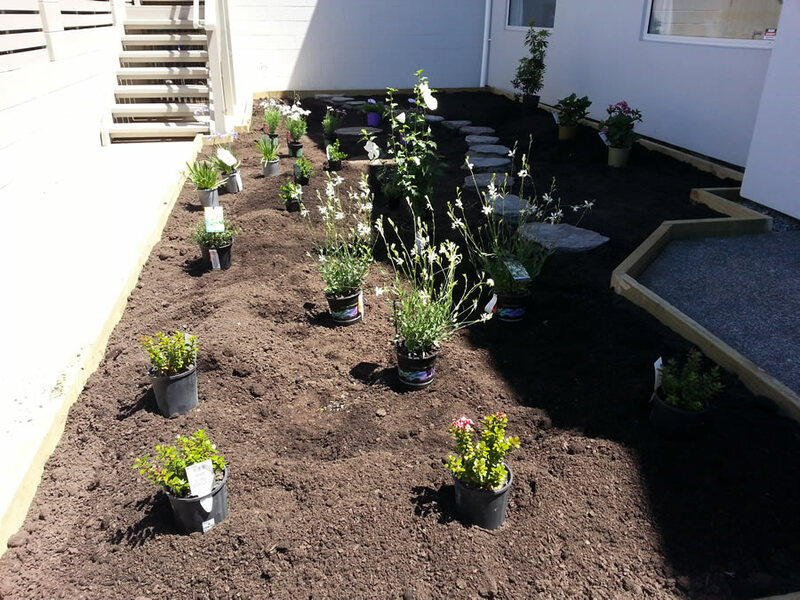 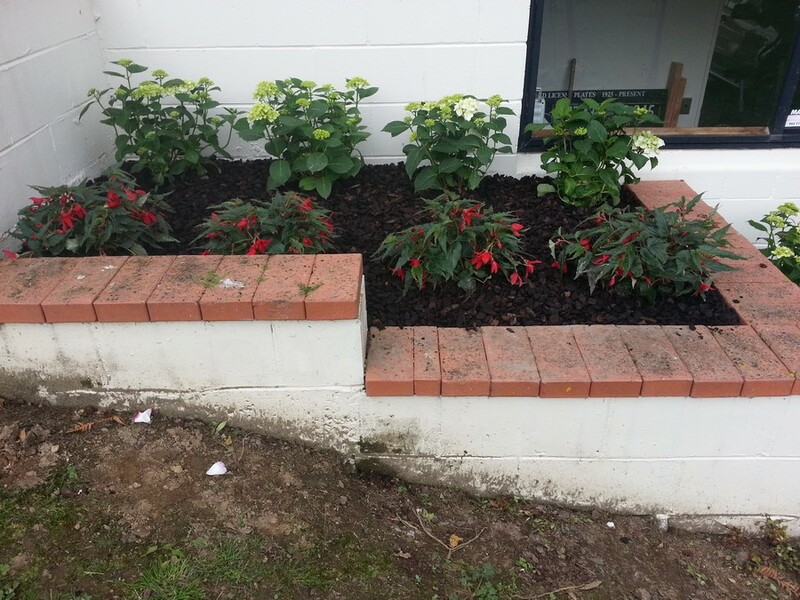 Borders reshaped and replanted; back area fenced off with paling fences and trellis gates to provide security; concrete pad laid for extra parking; macrocarpa, retained herb garden constructed and planted around sitting are. 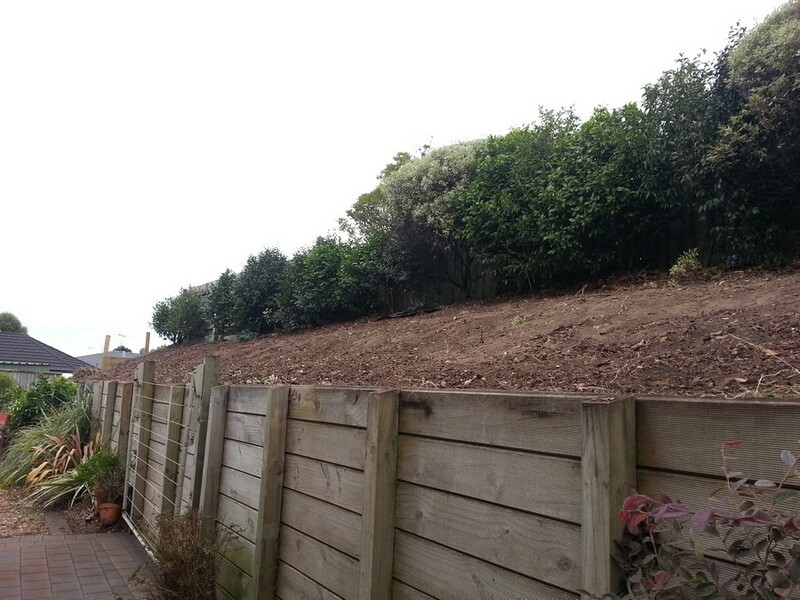 Phase 2 of an eco-restoration project on a large lifestyle block. 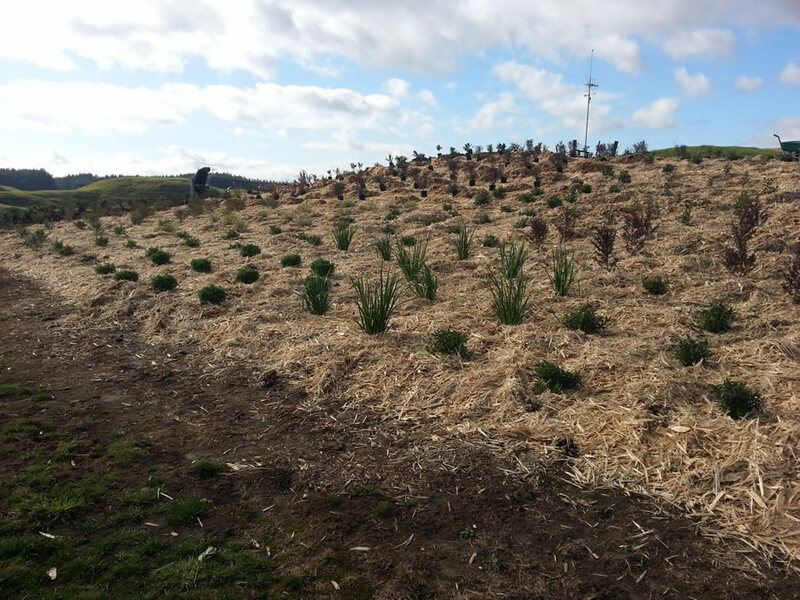 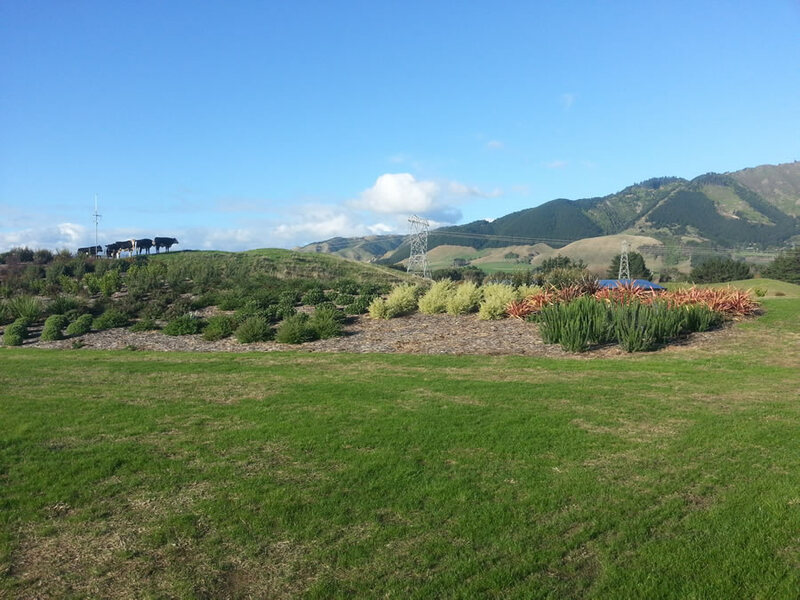 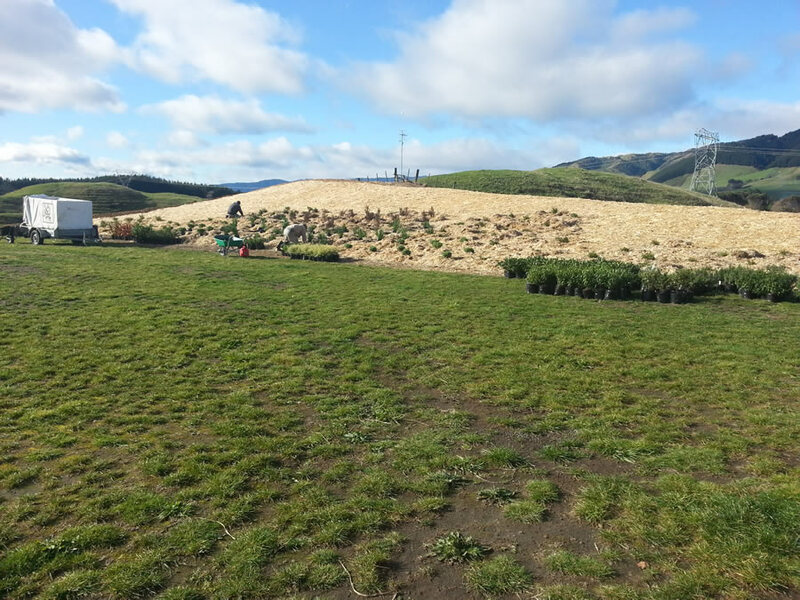 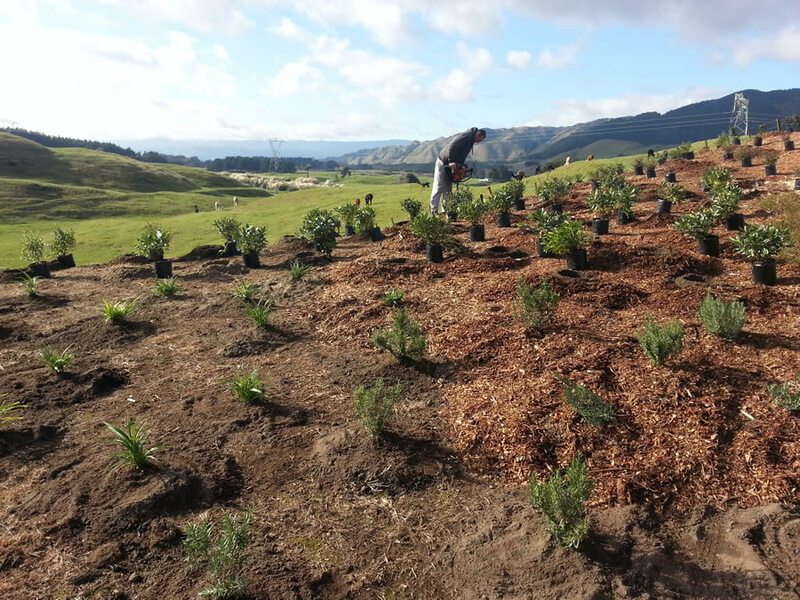 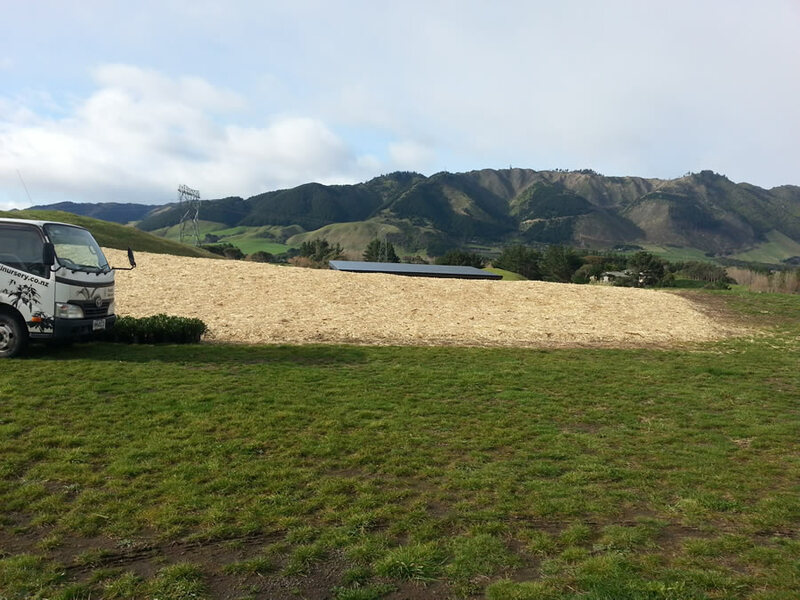 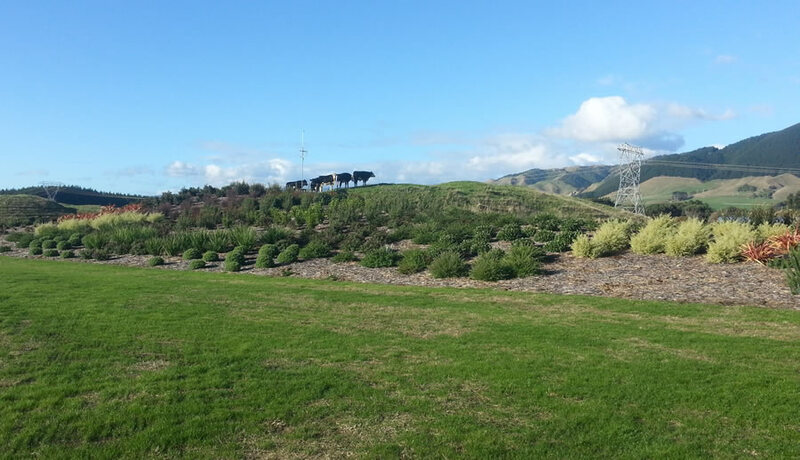 This phase was closer to the home, and planting was to be a mixture of low/medium growing exotic and native plants that would add interest to the farmland and also blend with the native-covered hills behind; the colour scheme was chosen to match the colours of the hillside as they were highlighted by the fading light at the end of the day. 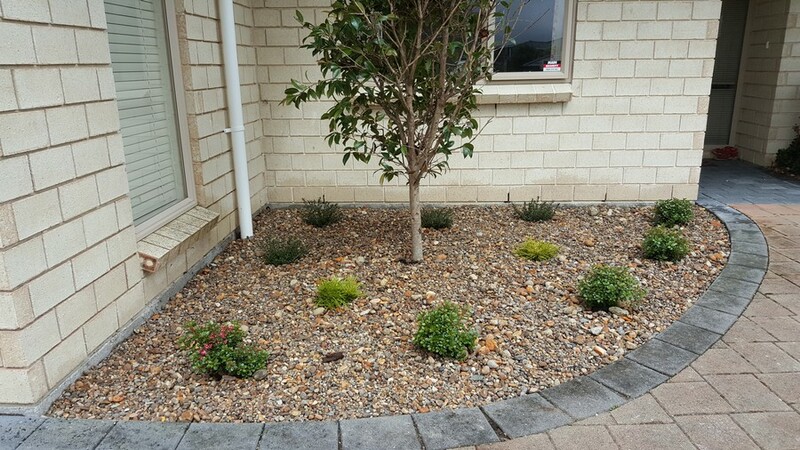 Feature garden created at front of new home. 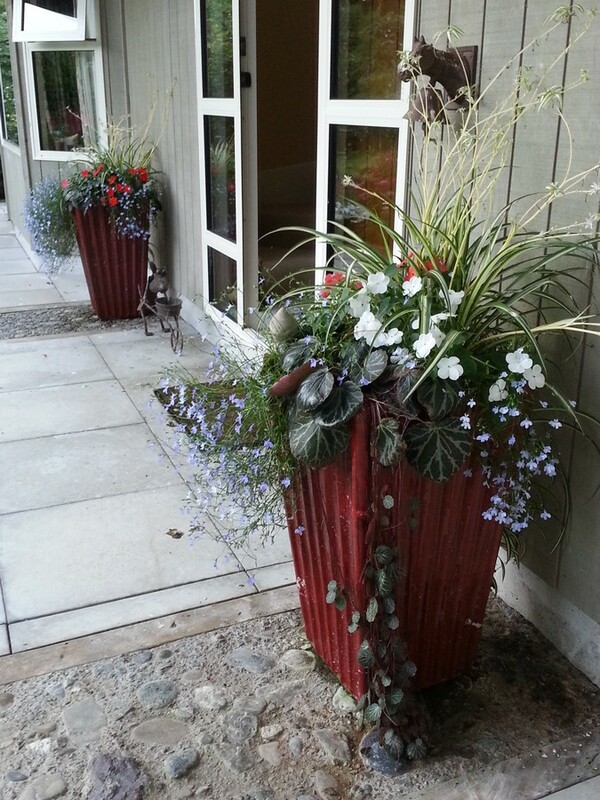 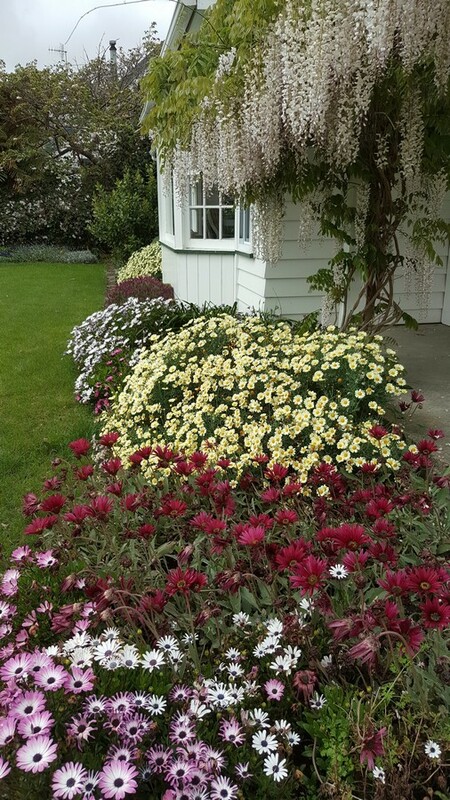 Pretty planting with meandering schist path to beautiful glazed container focal point. 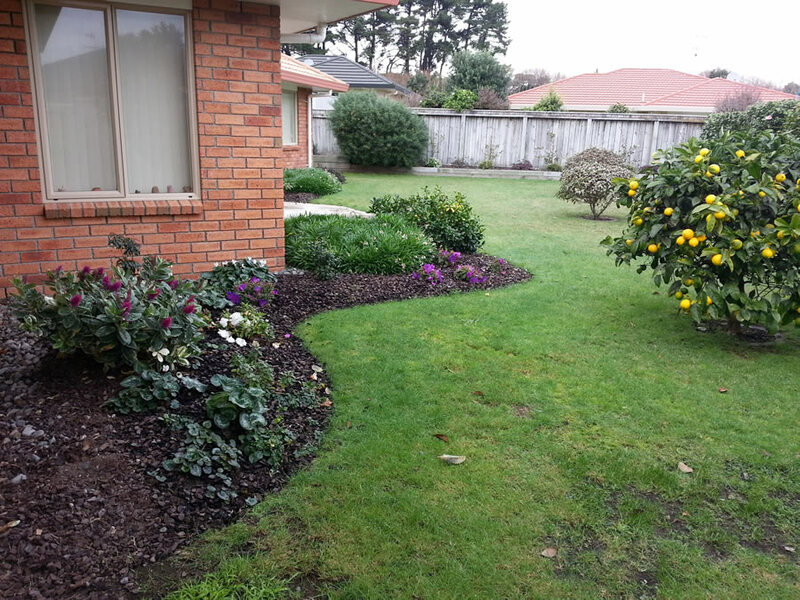 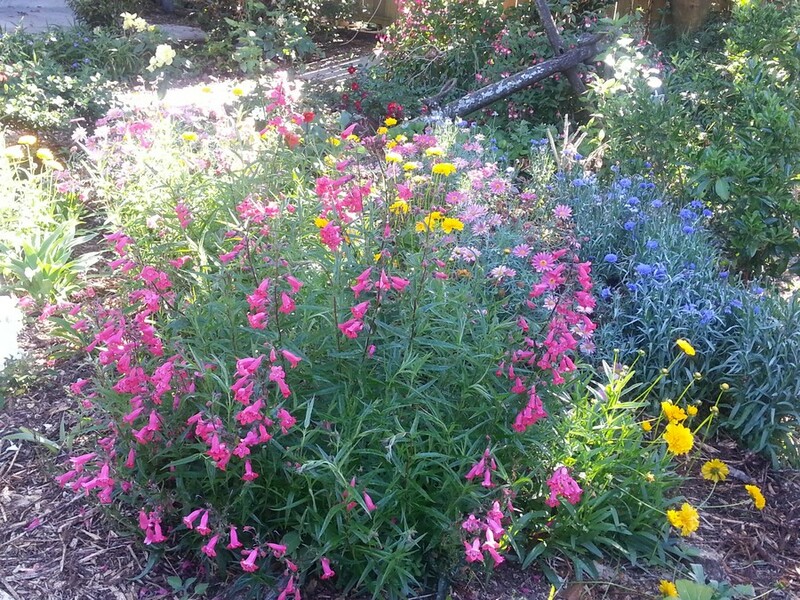 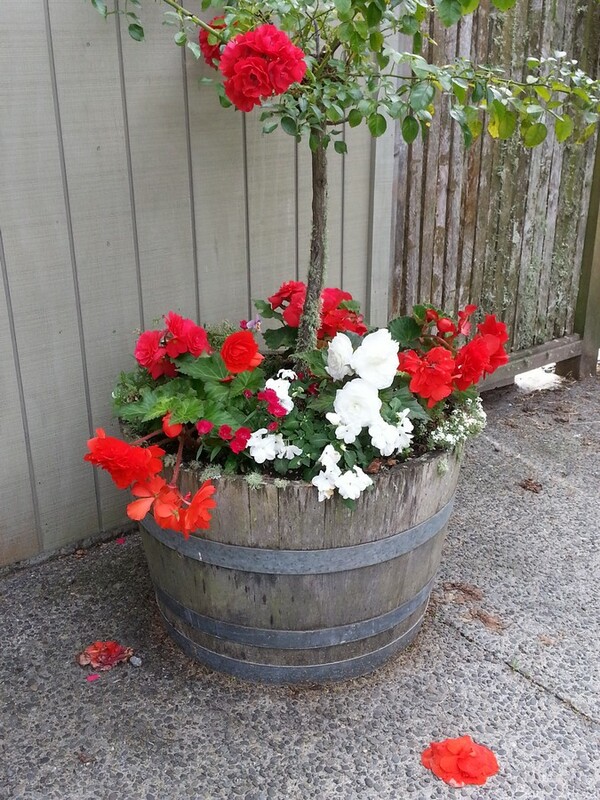 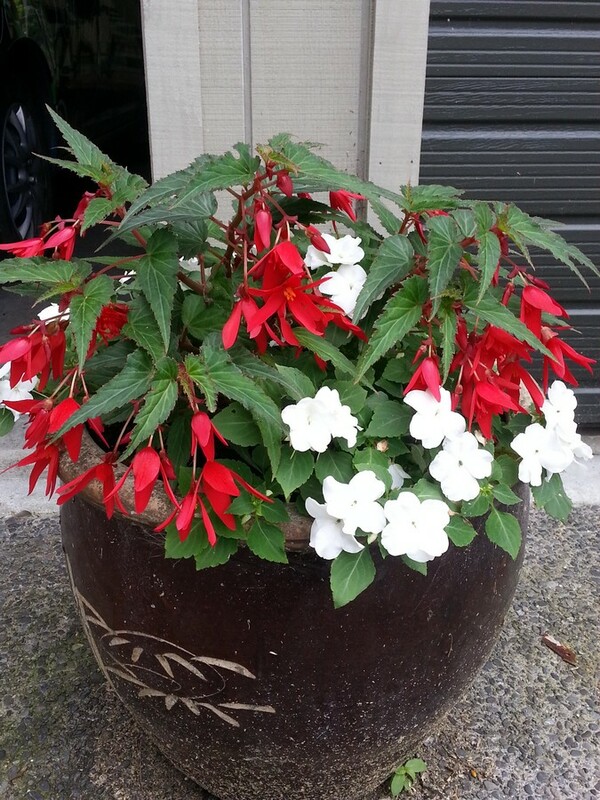 A variety of shots of gardens and planted containers.